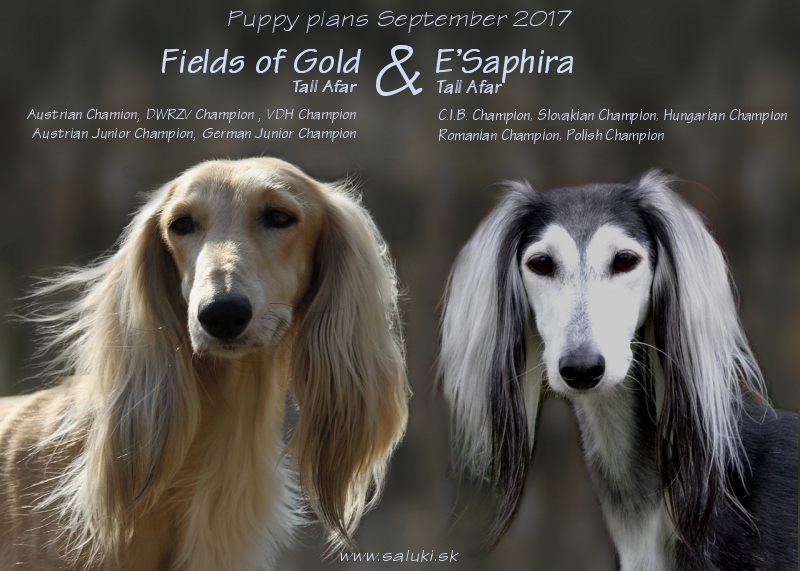 Elani + Emir Tall Afar - BIS pair! 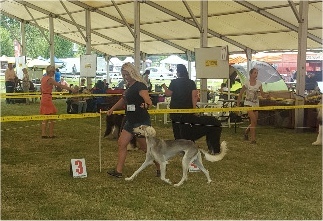 The conditions for C.I.B. 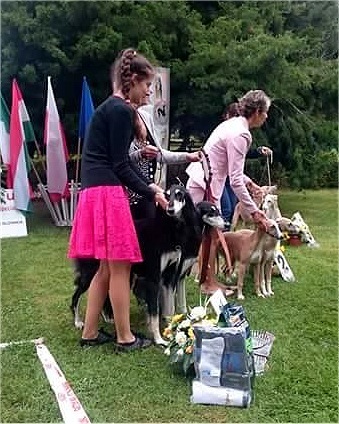 Champion are fulfilled! 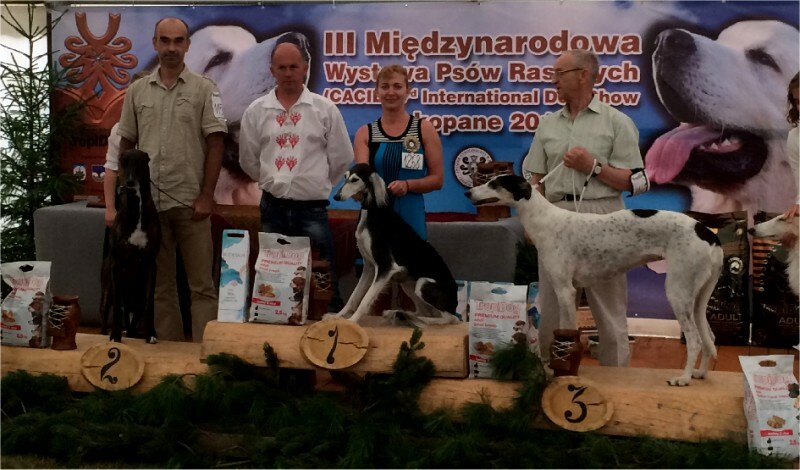 Saphi is NEW Champion of Poland! 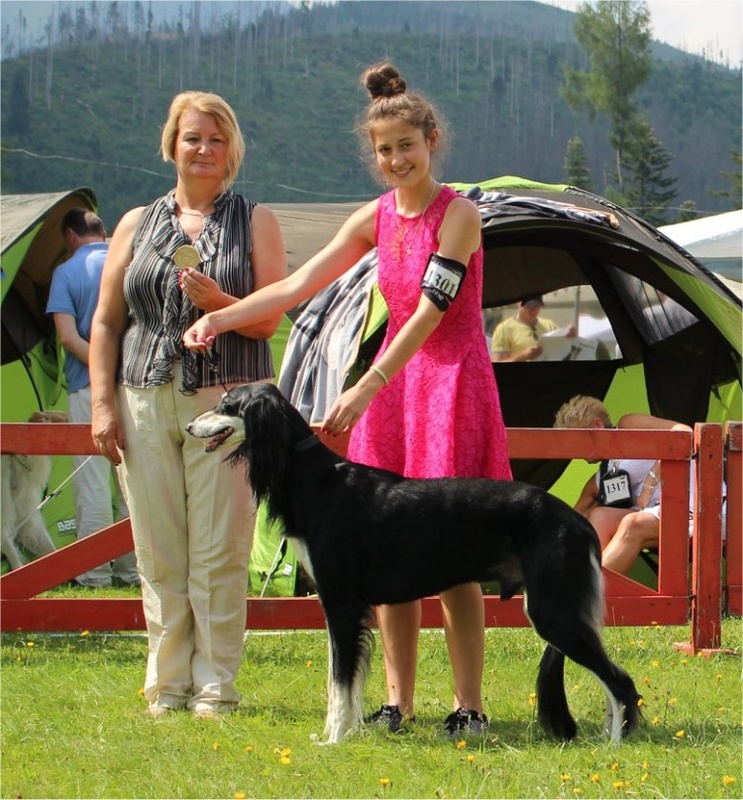 Filly is NEW Dwzrv Champion! 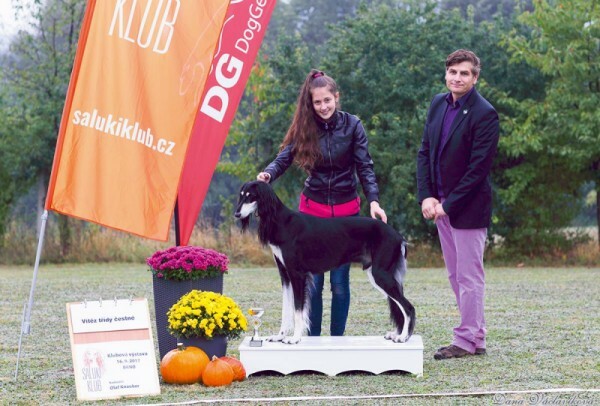 Eshara is NEW Slovakia Champion ! 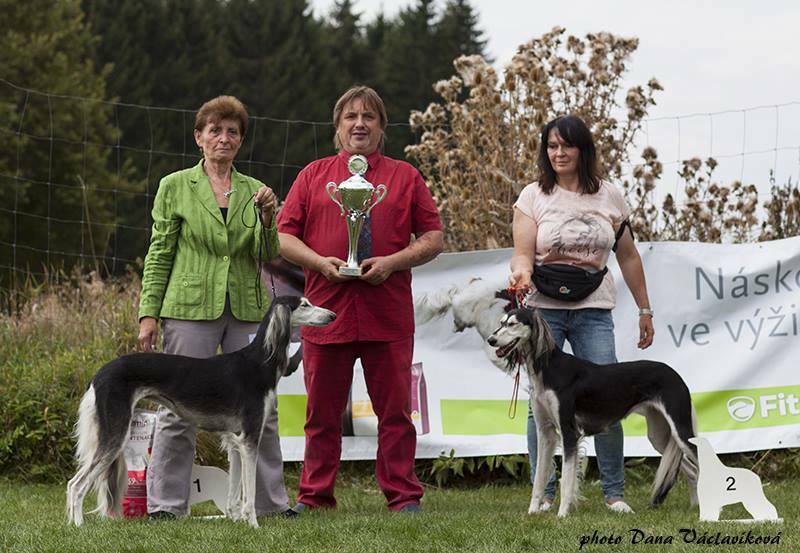 Foxy is NEW Hungaria Champion ! 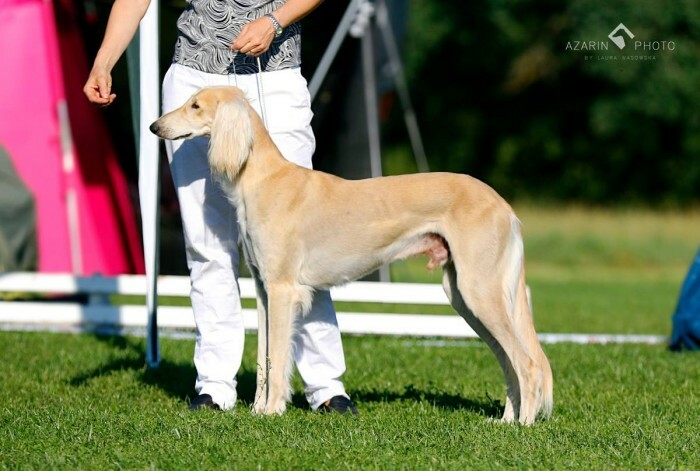 Emir Tall Afar + Elani Tall Afar - BIS pair! 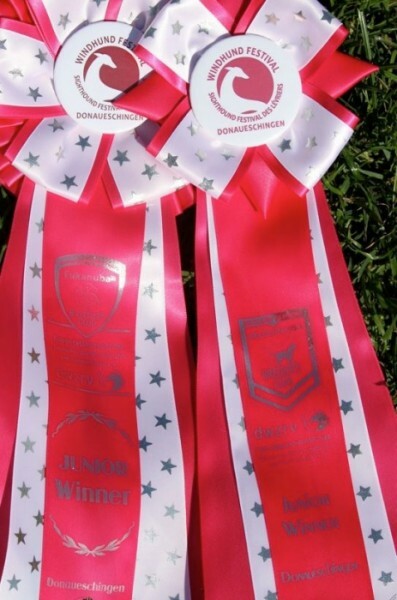 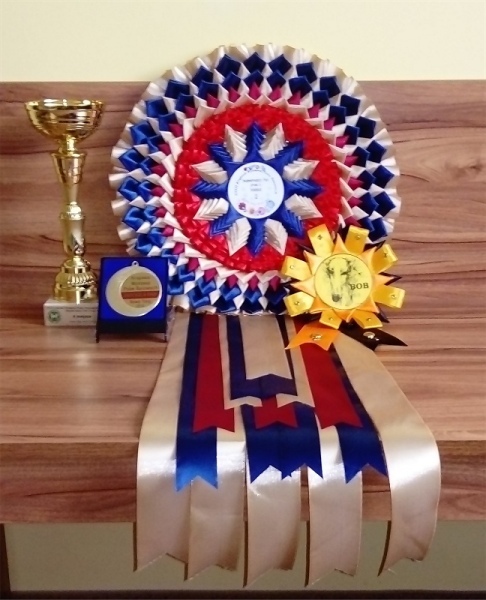 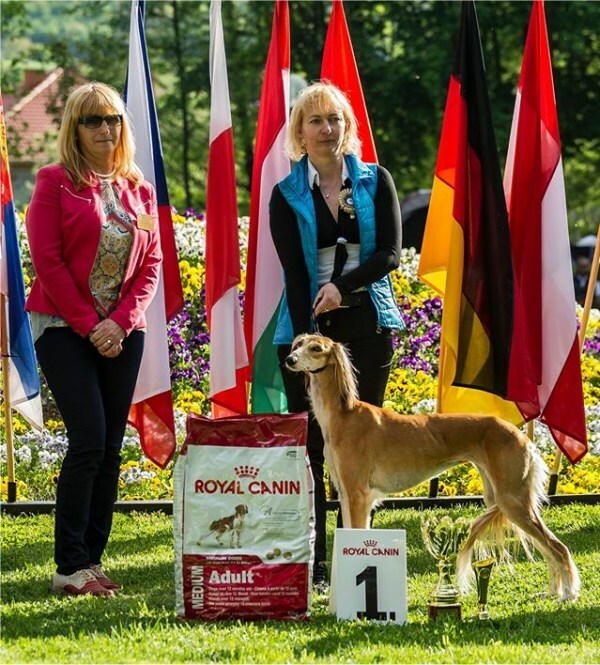 Filly is NEW Austrian Champion ! 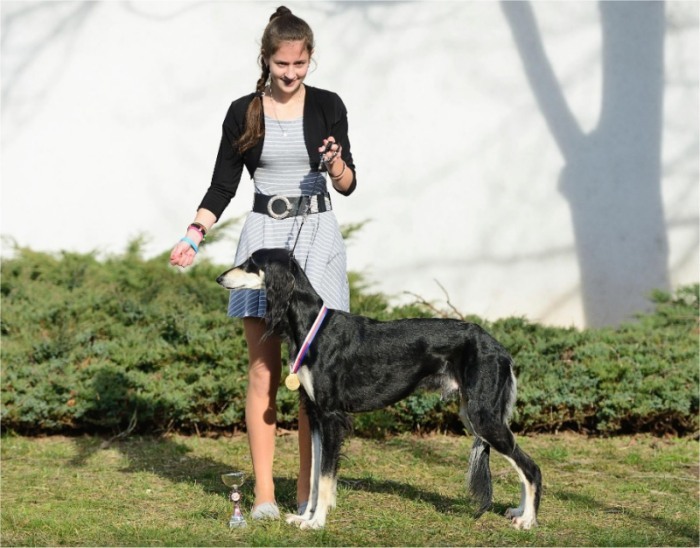 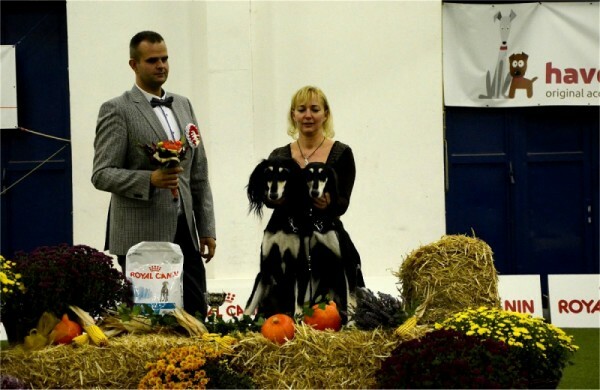 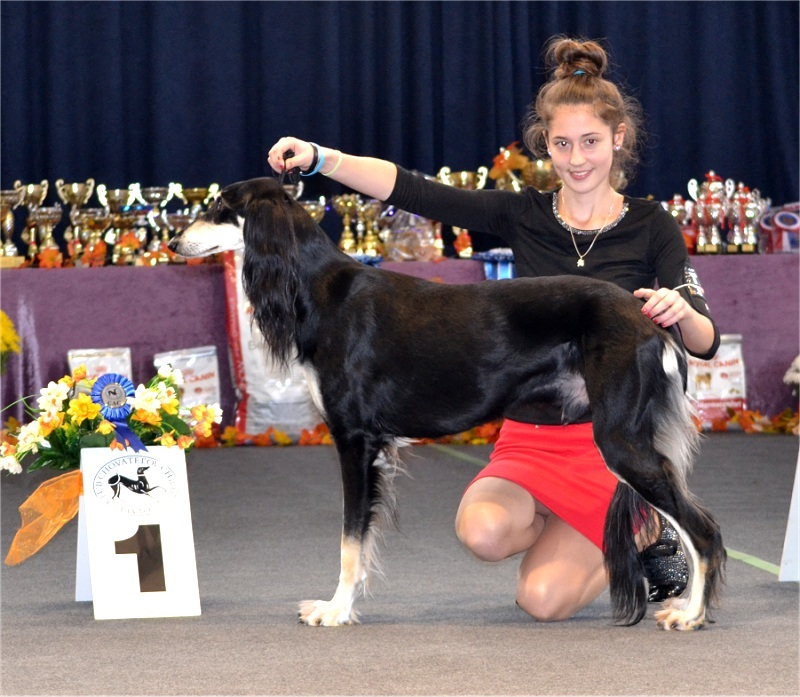 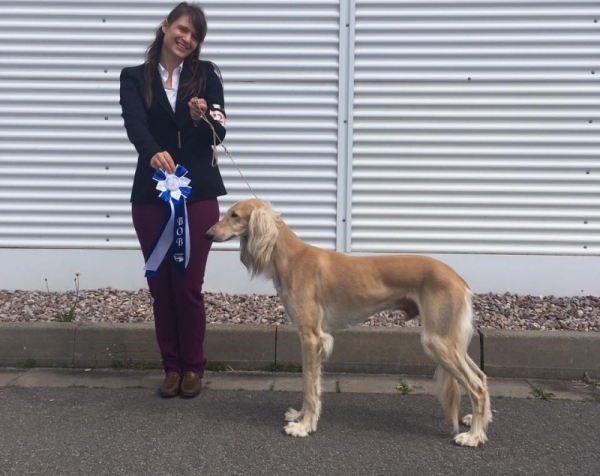 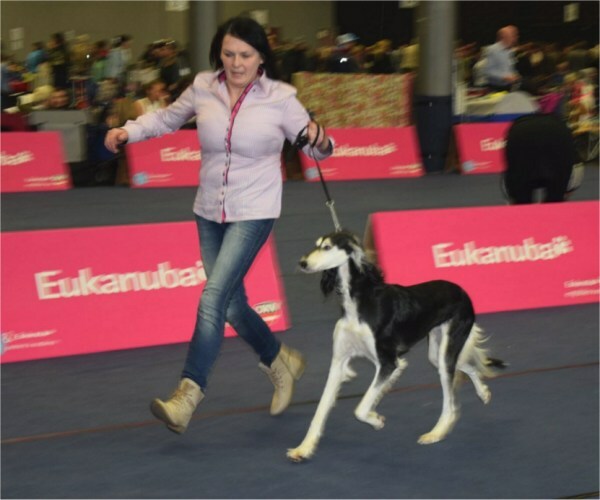 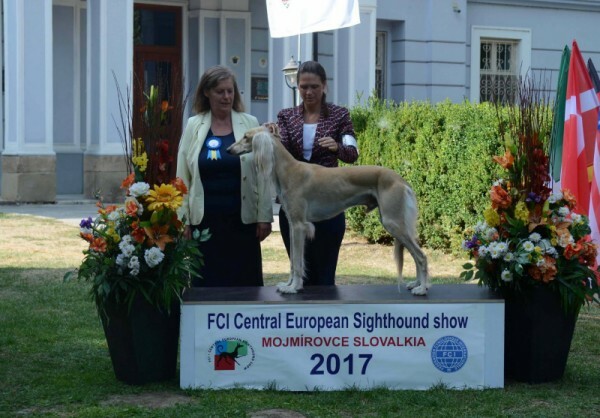 Elani is NEW Hungaria Champion ! 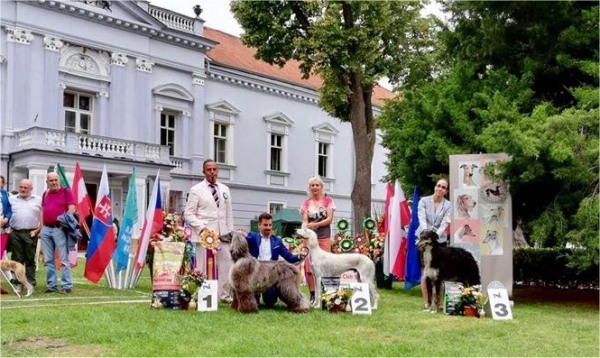 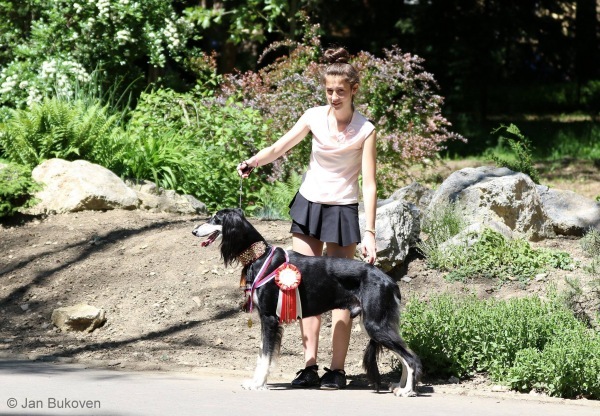 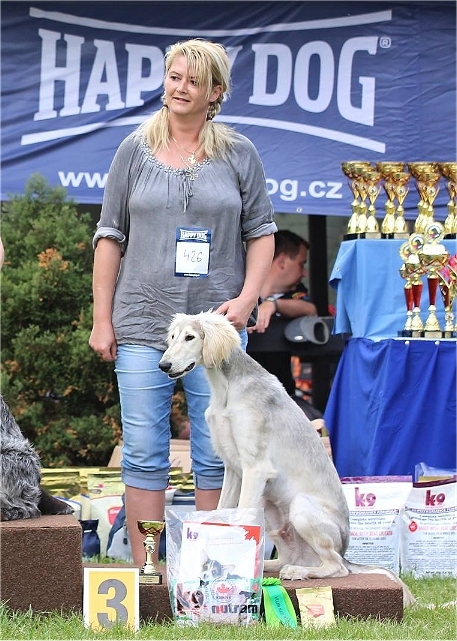 Saphi is NEW Hungaria Champion ! 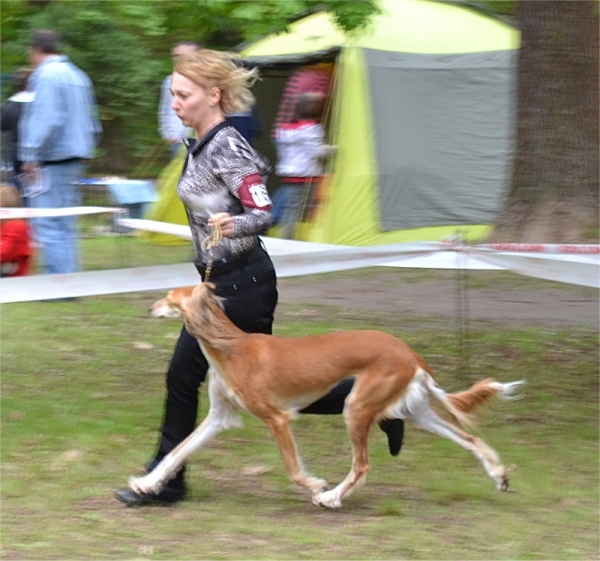 out of 21 males in the open class! 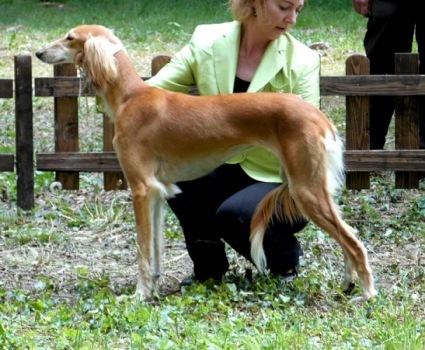 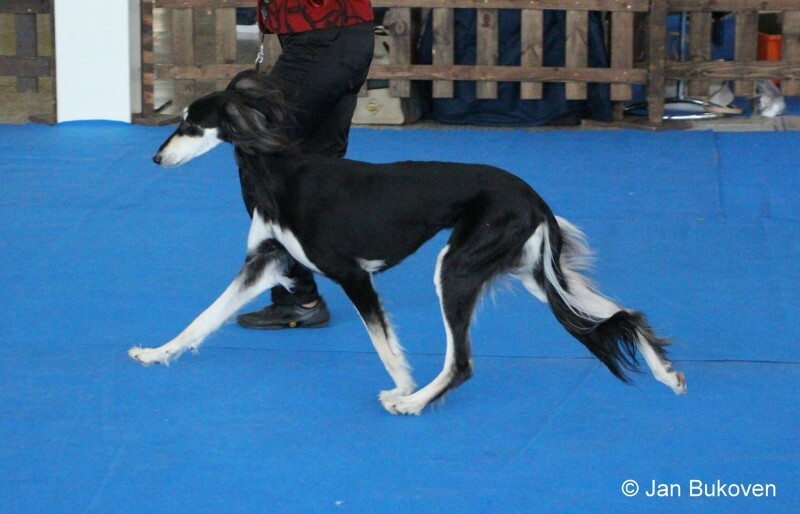 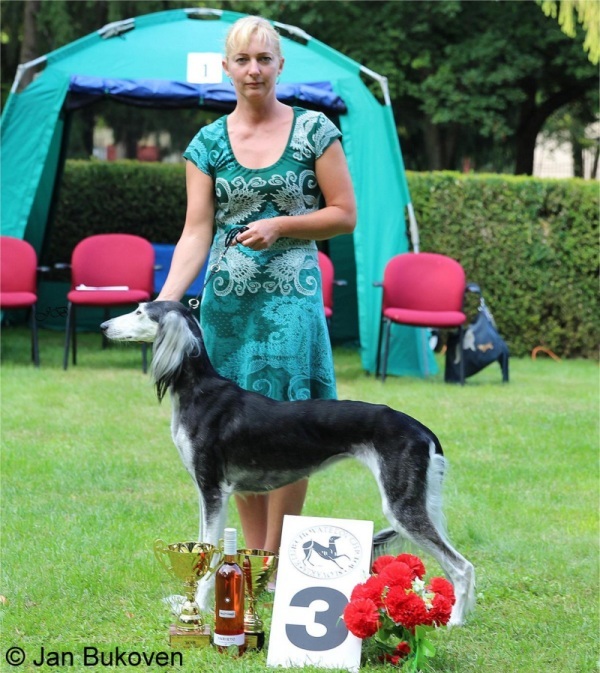 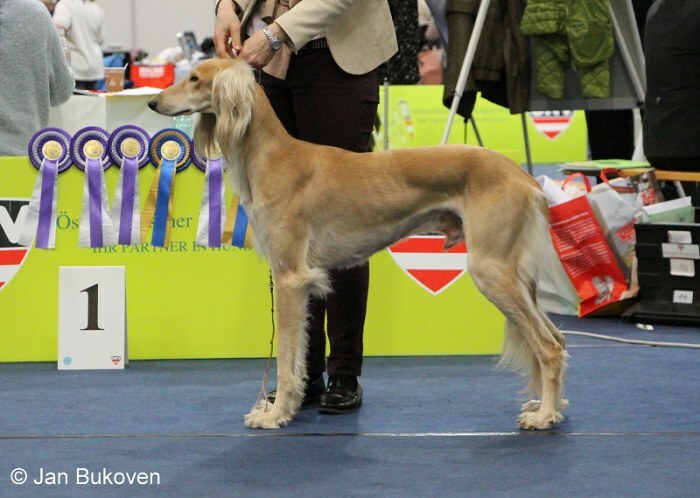 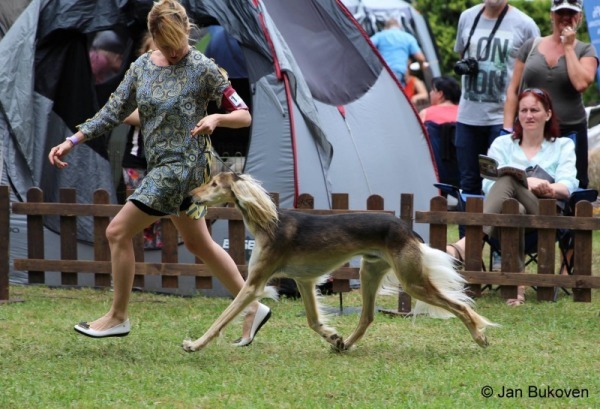 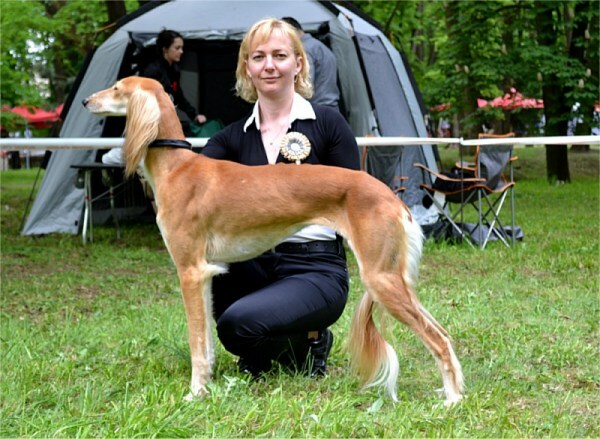 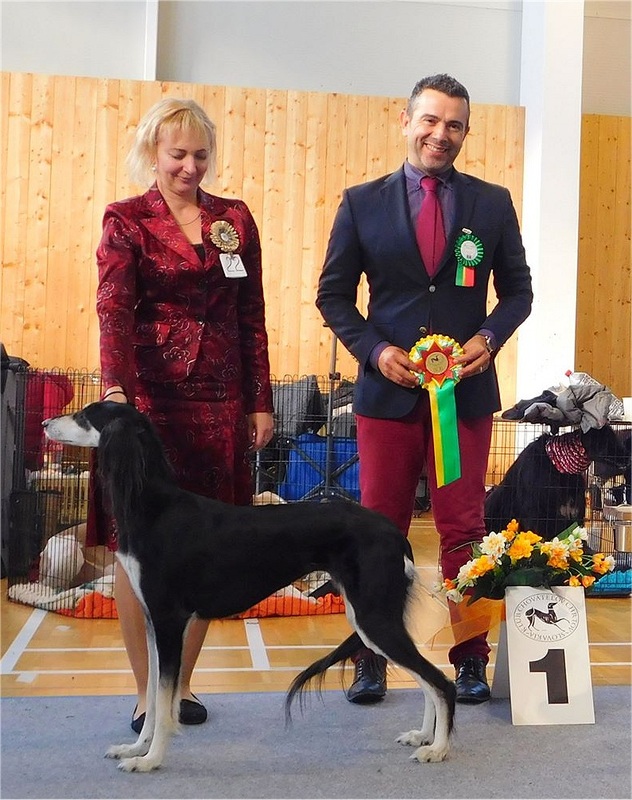 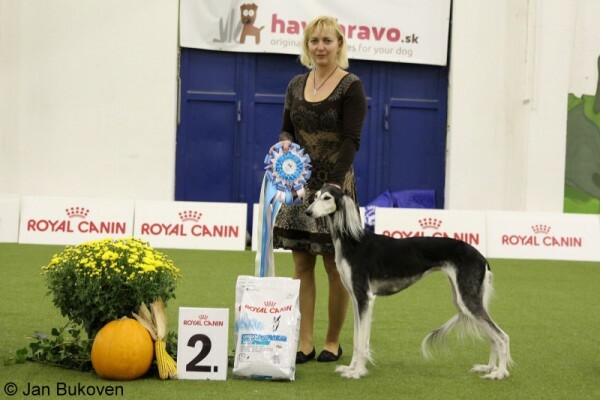 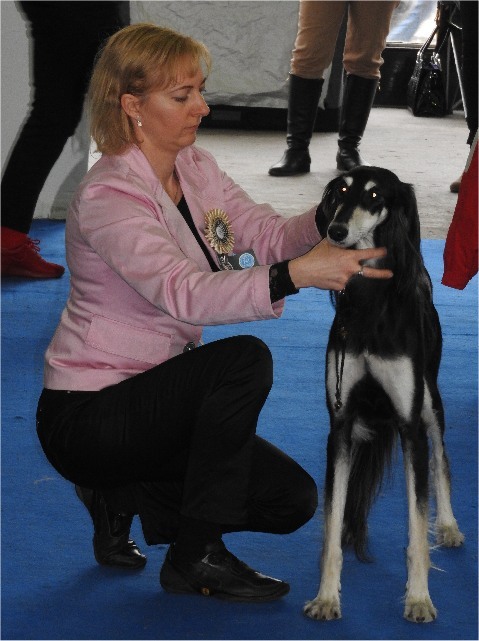 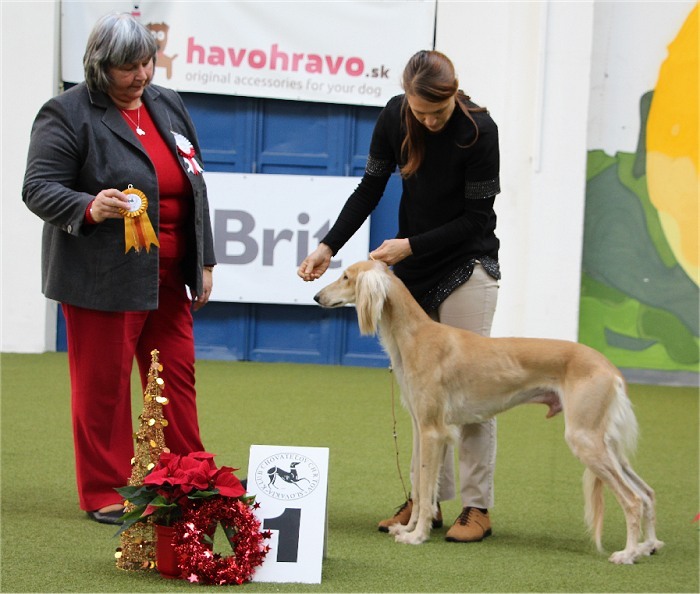 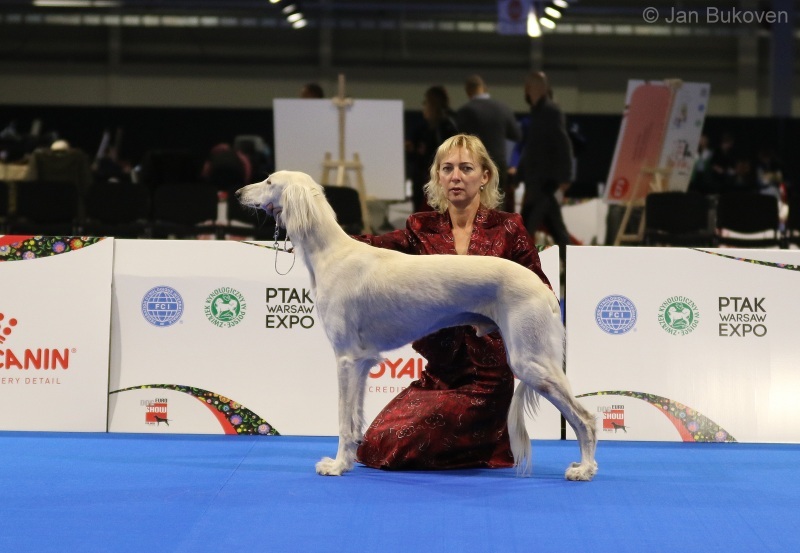 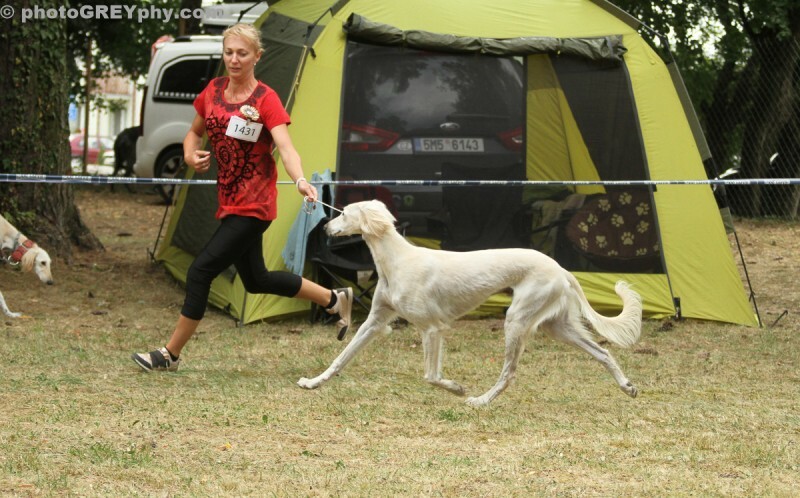 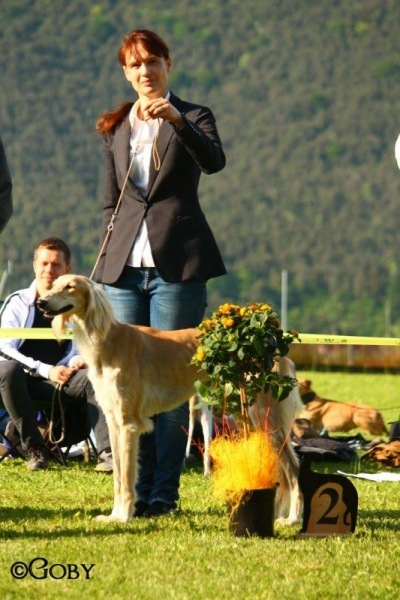 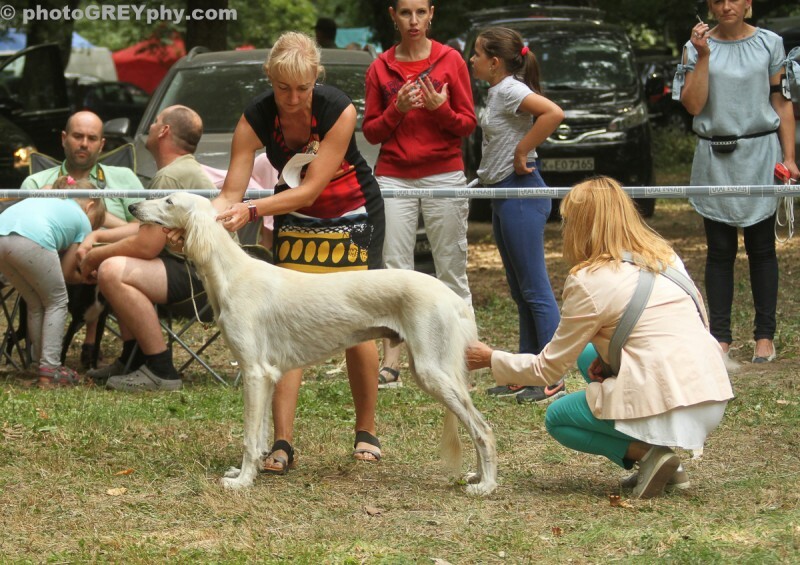 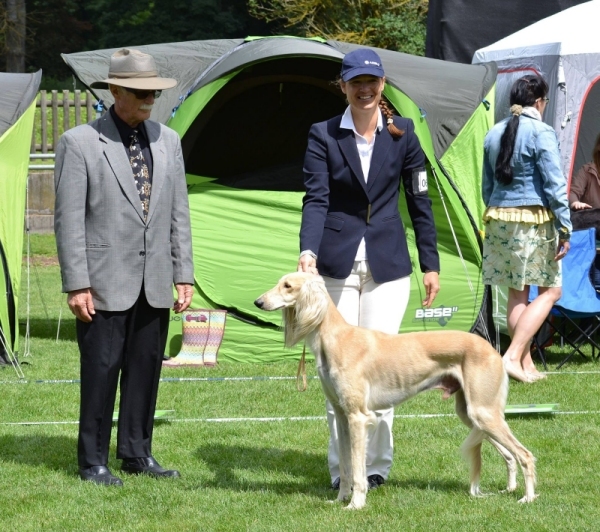 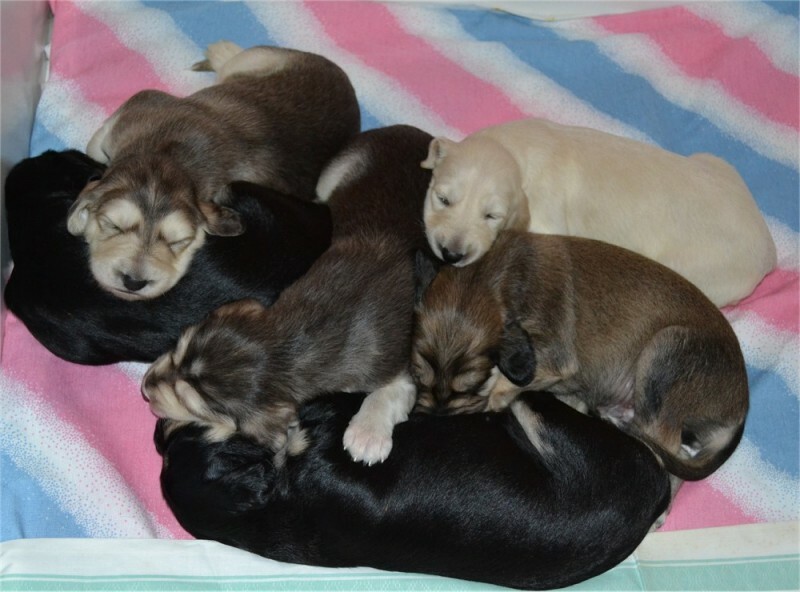 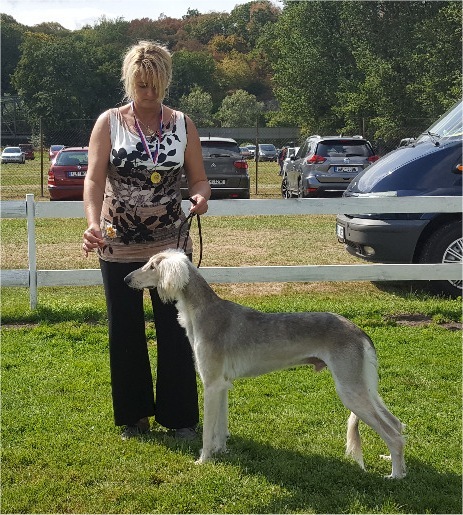 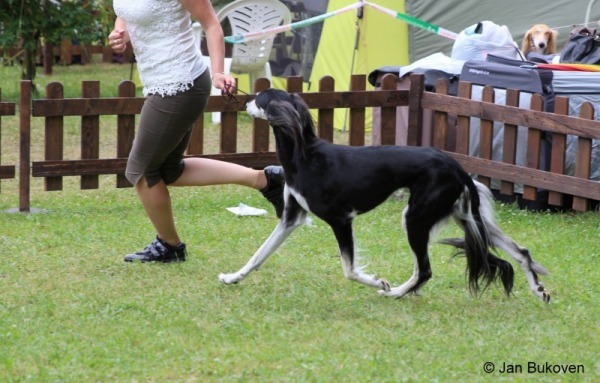 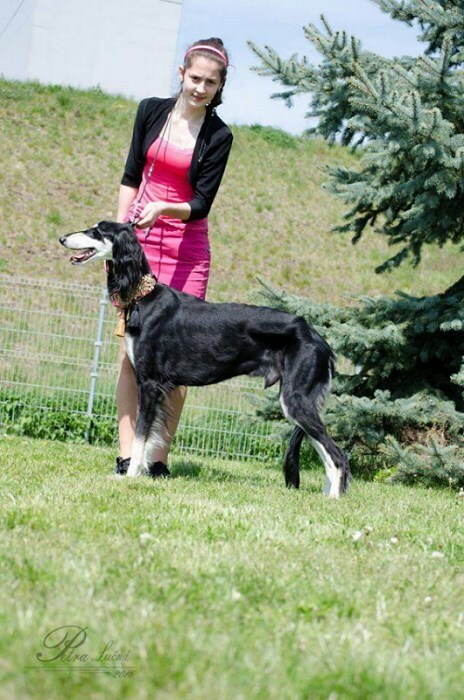 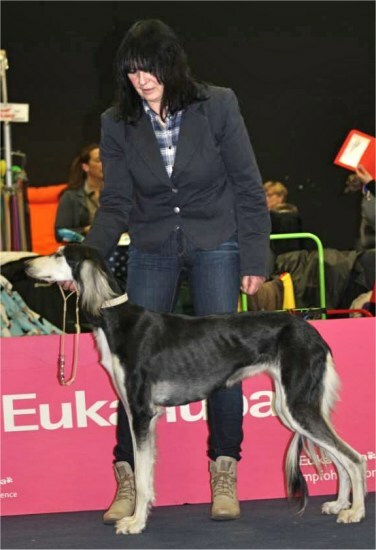 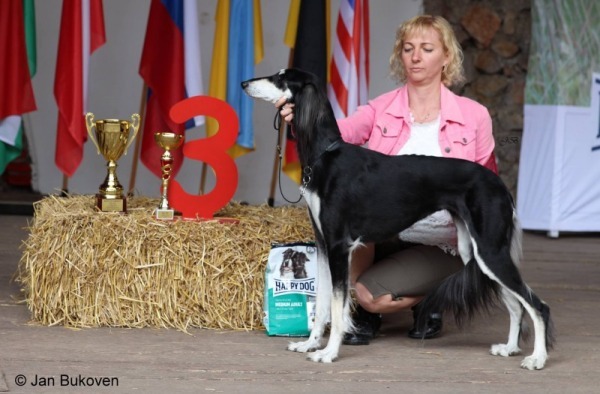 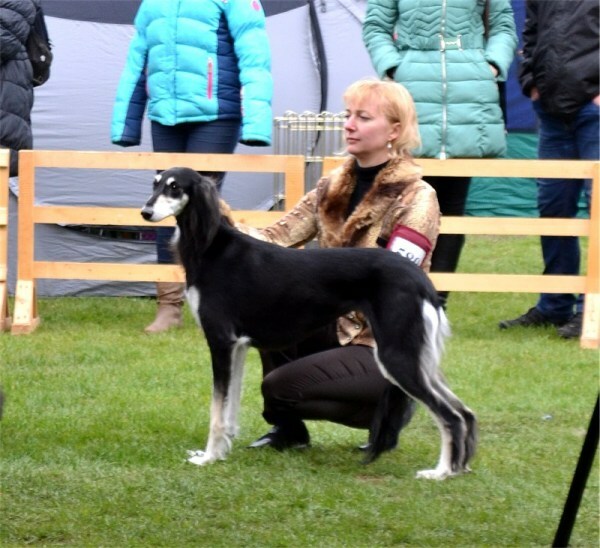 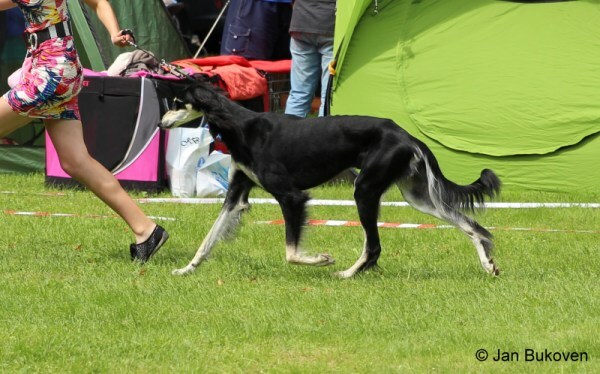 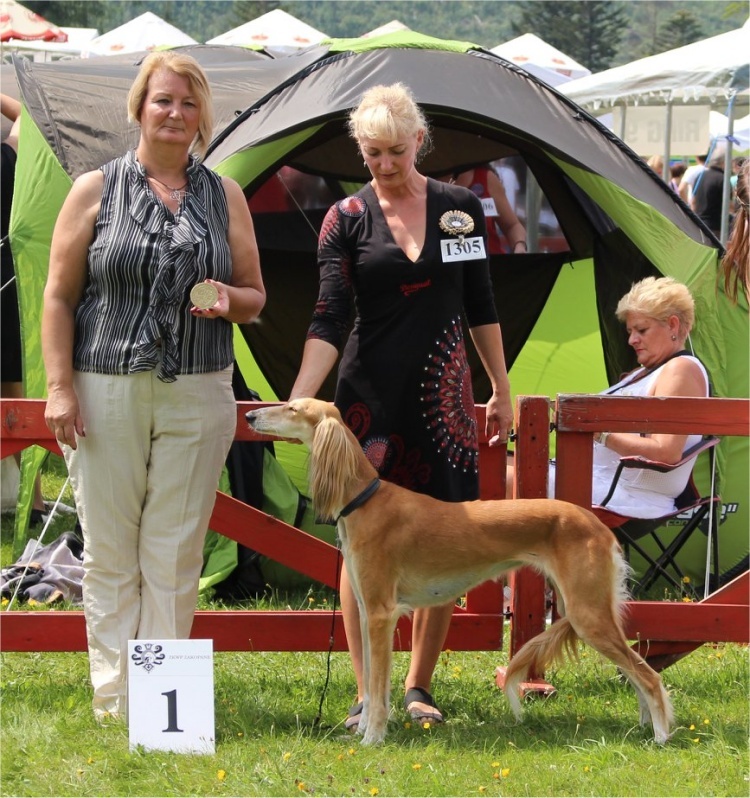 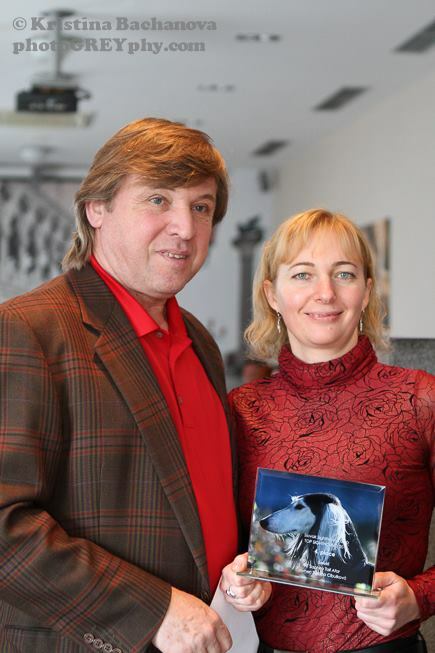 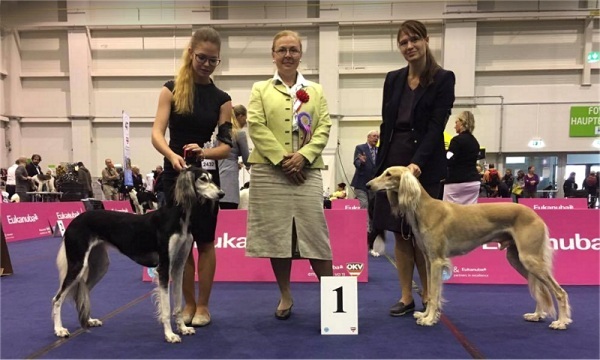 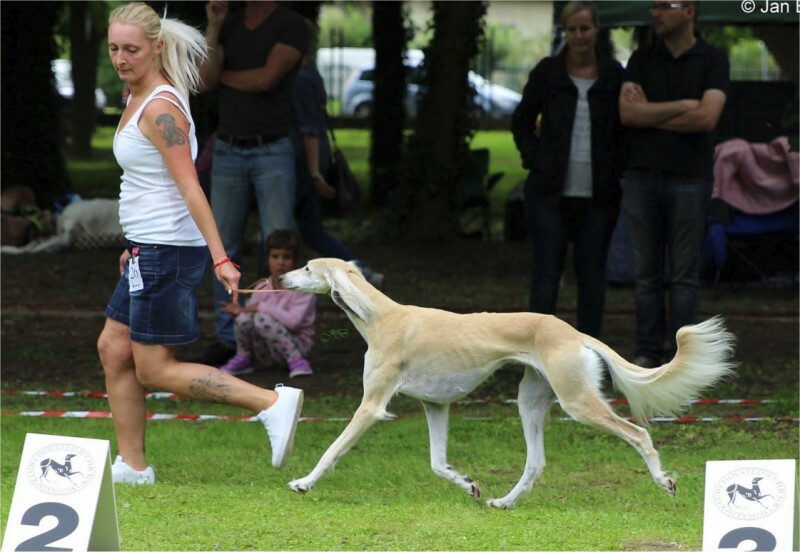 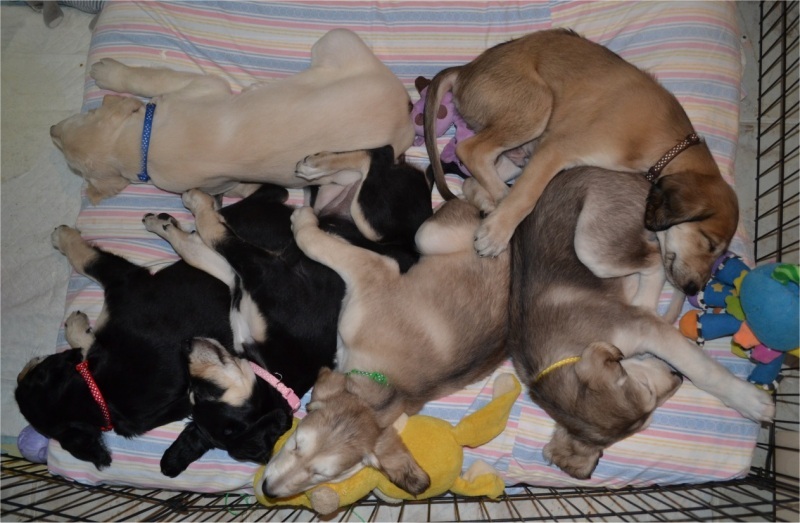 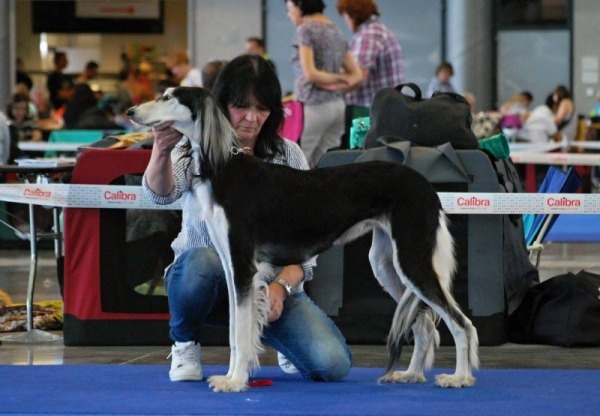 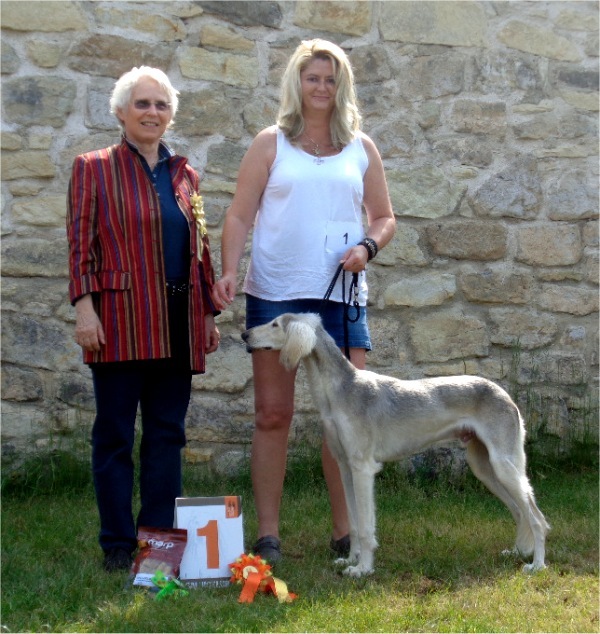 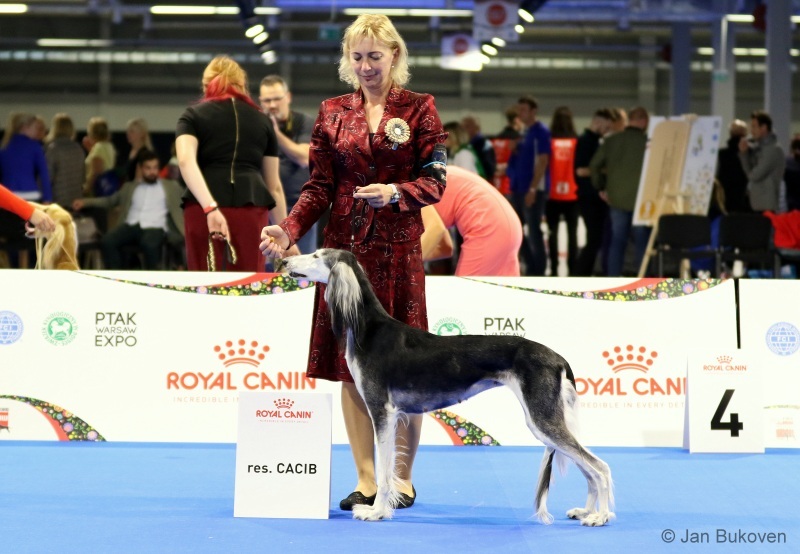 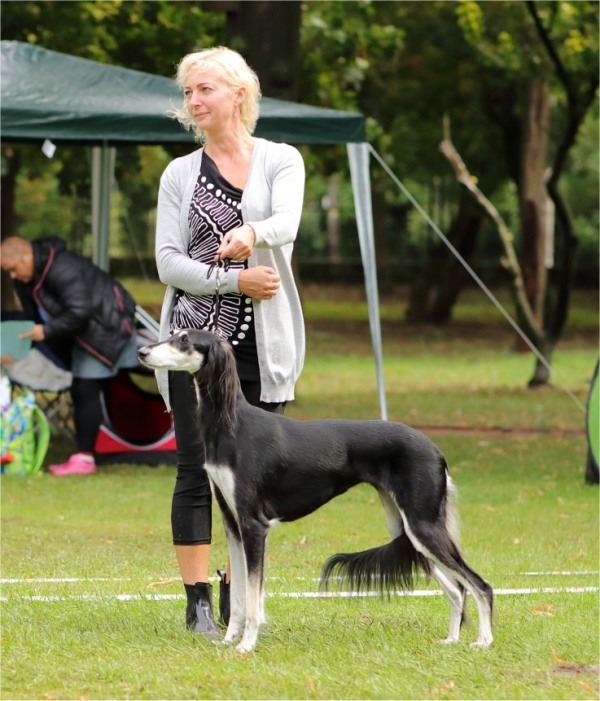 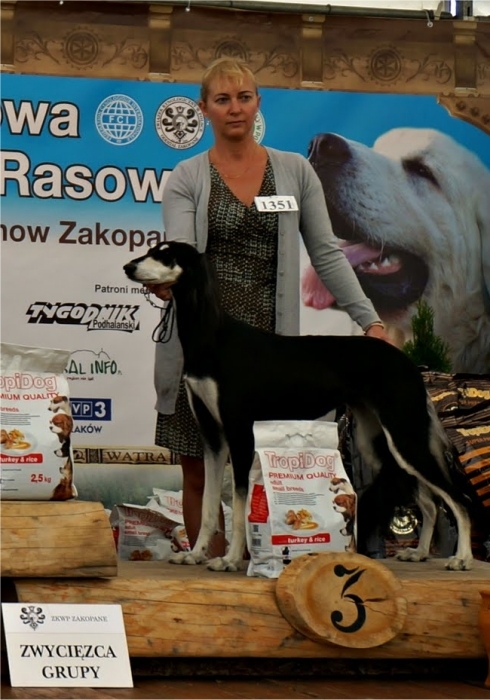 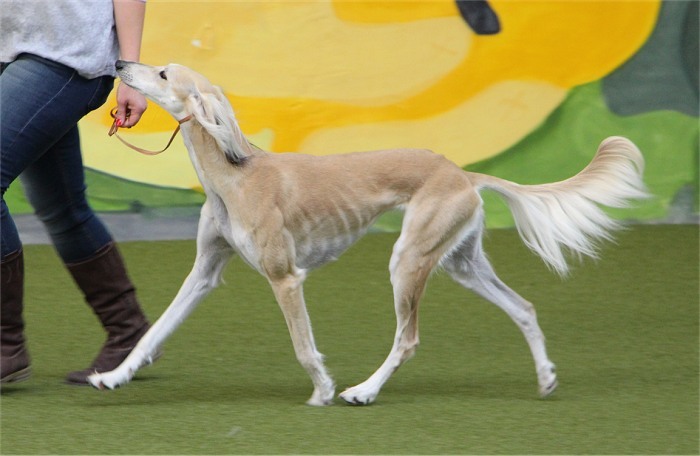 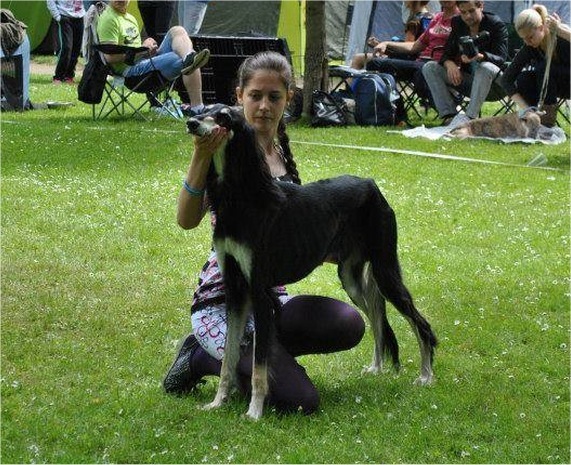 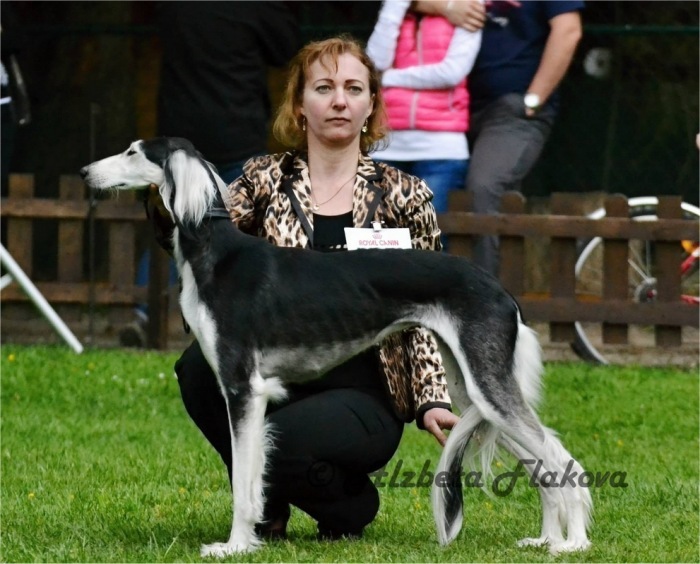 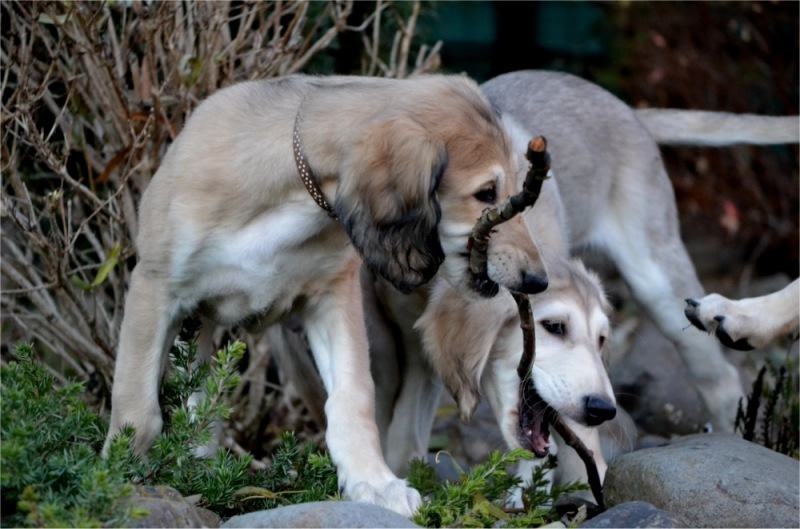 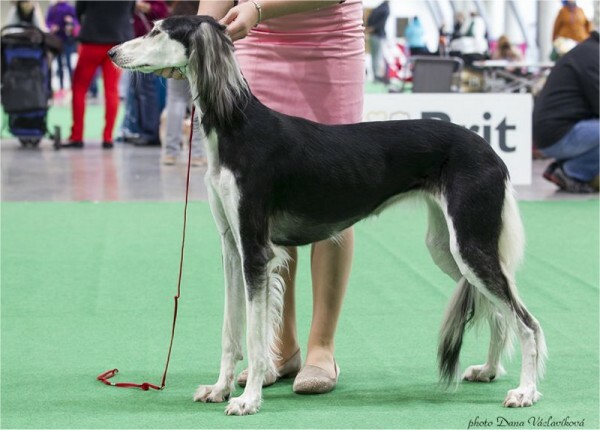 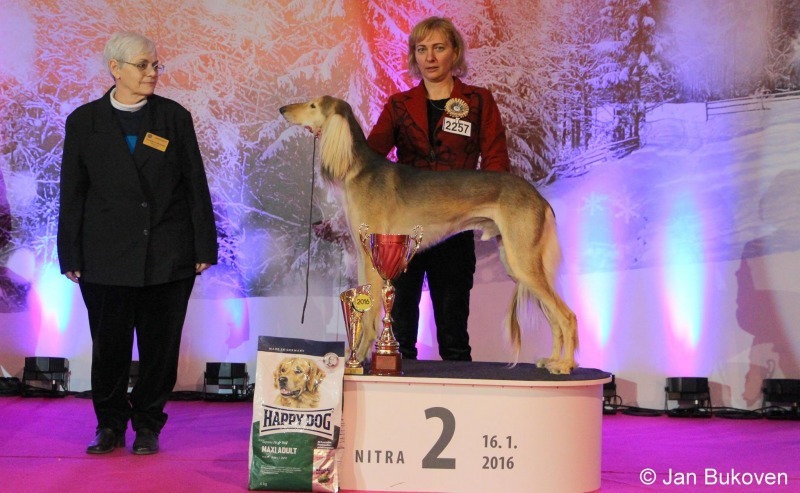 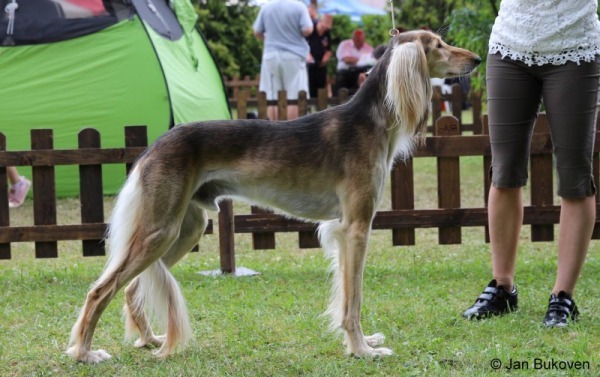 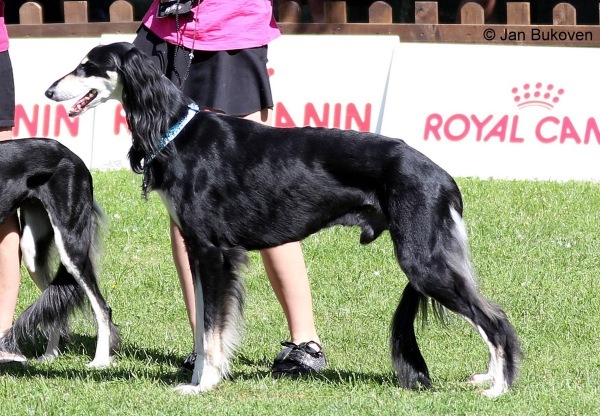 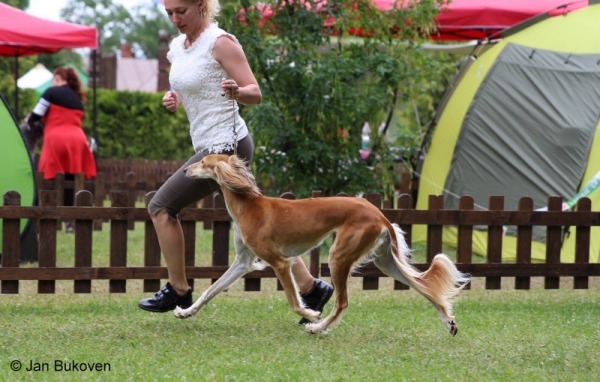 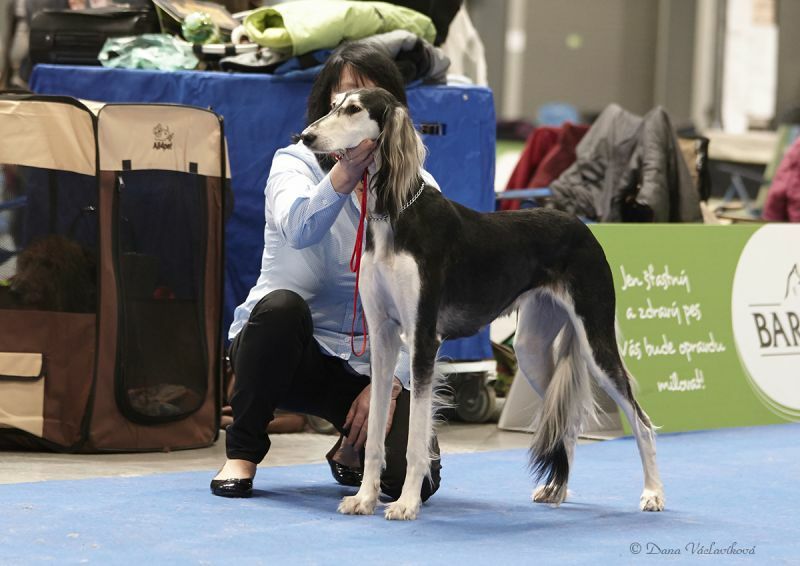 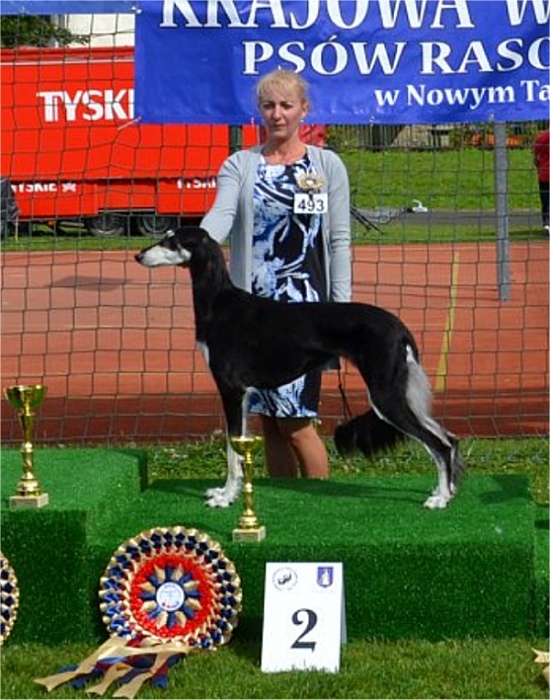 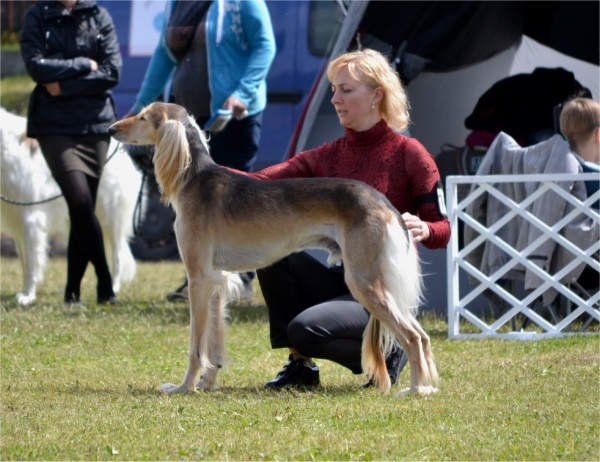 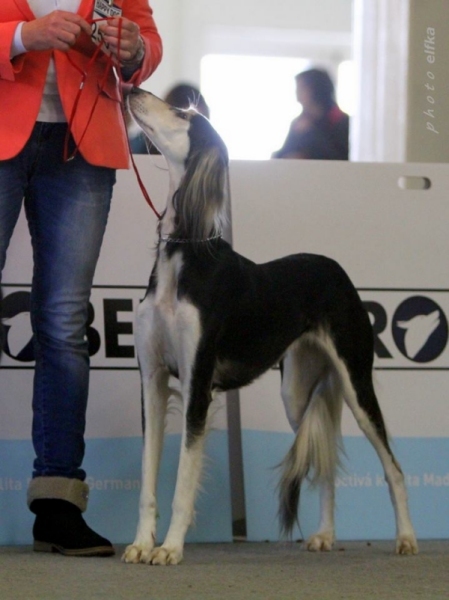 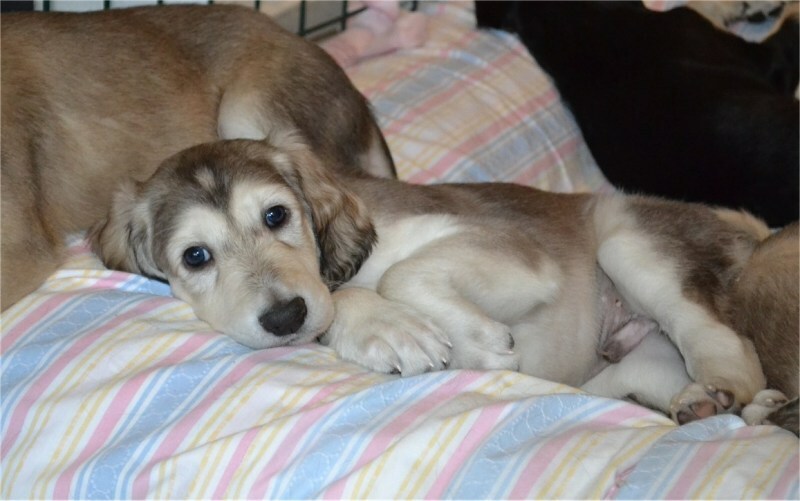 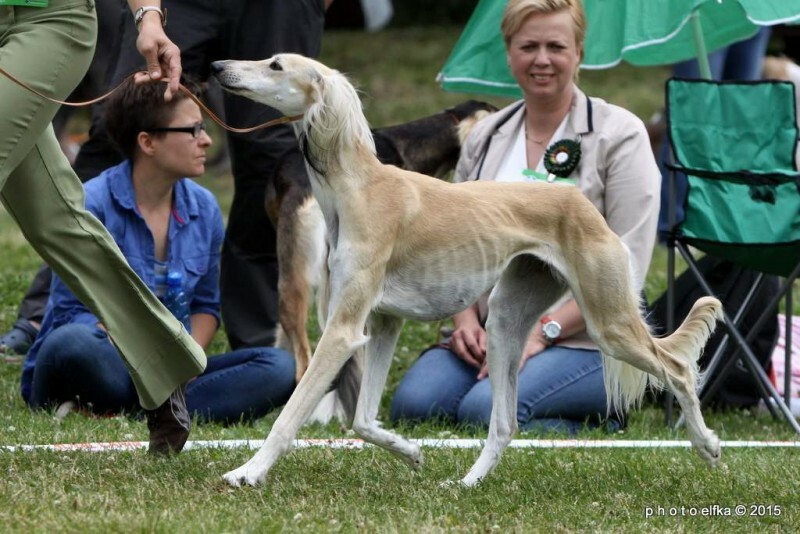 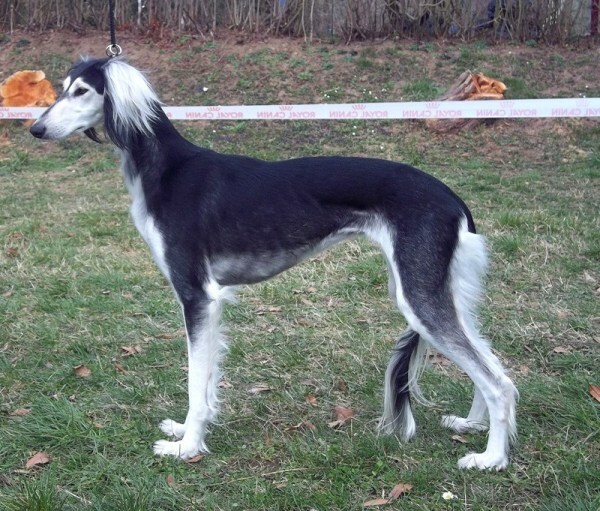 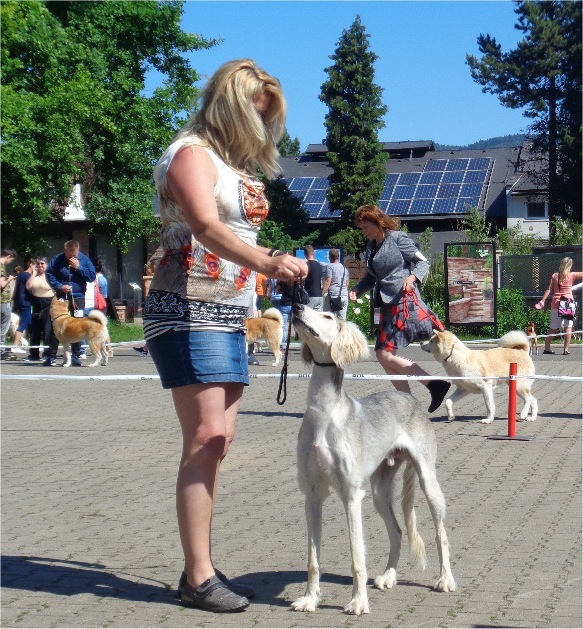 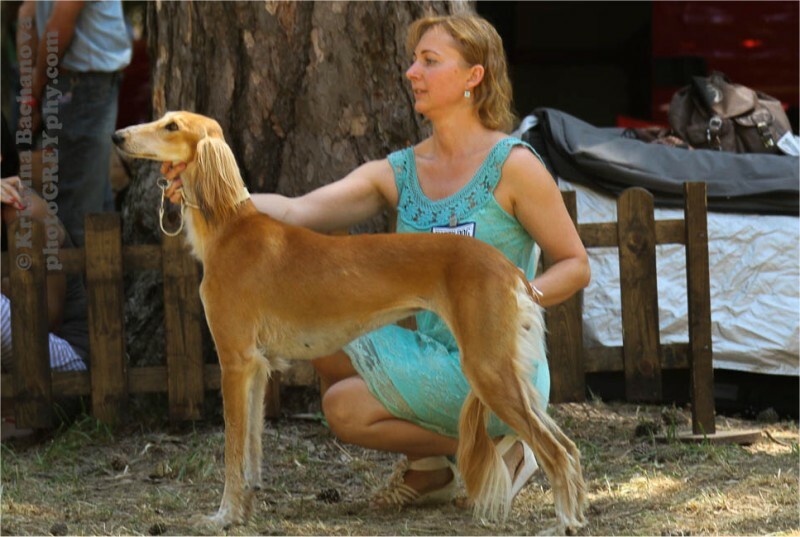 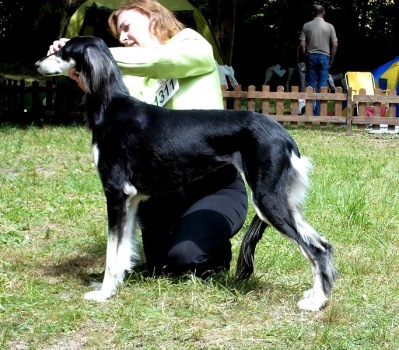 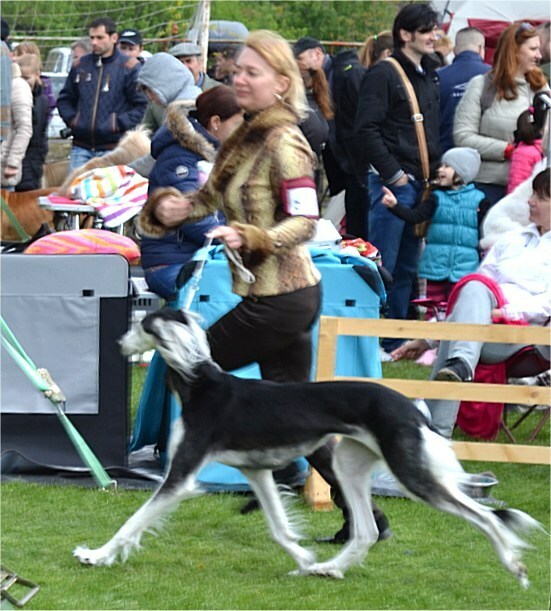 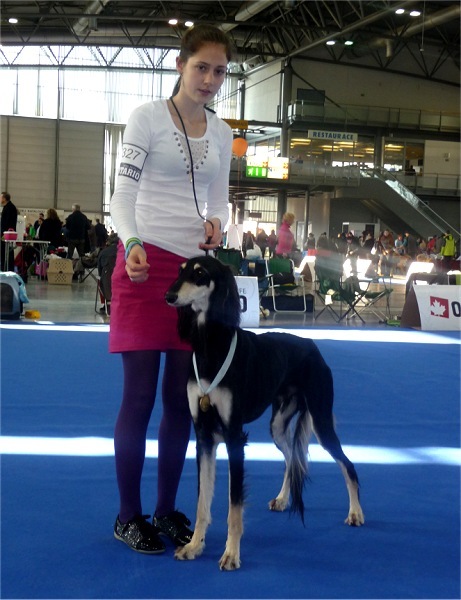 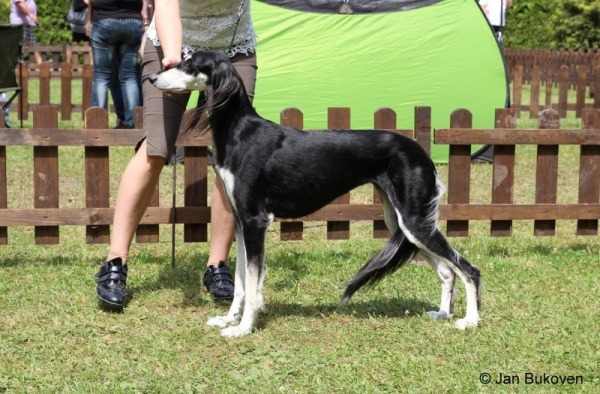 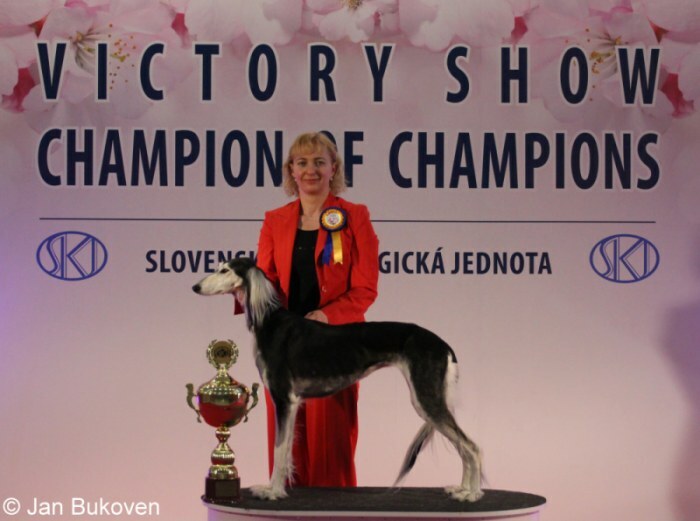 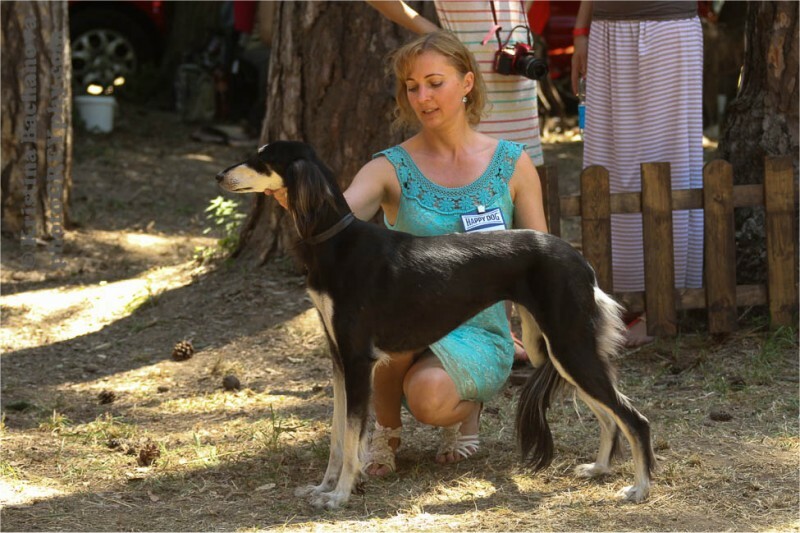 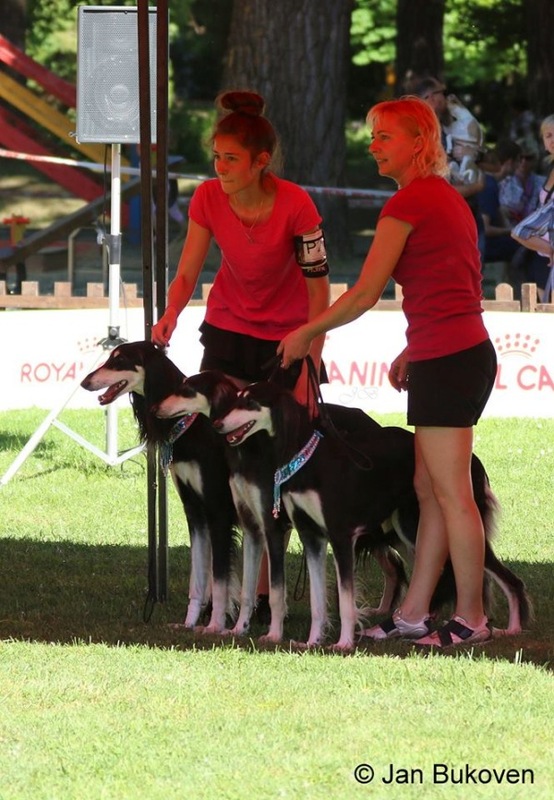 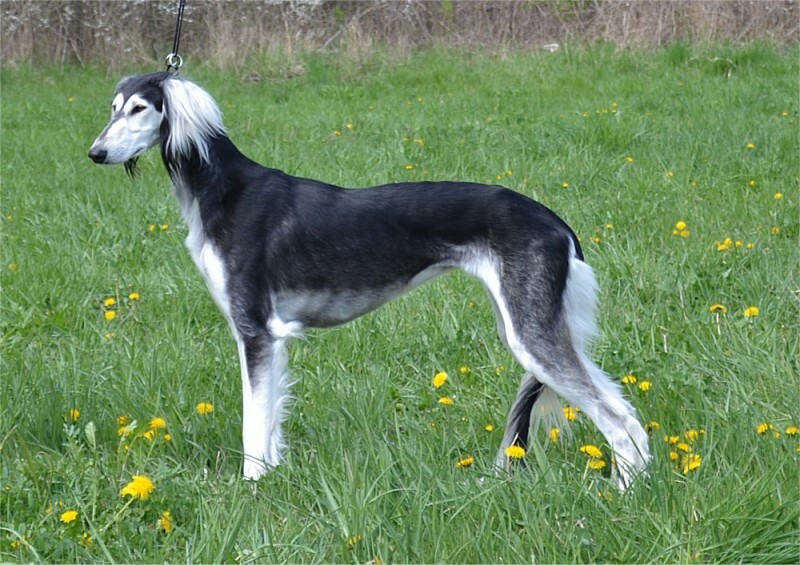 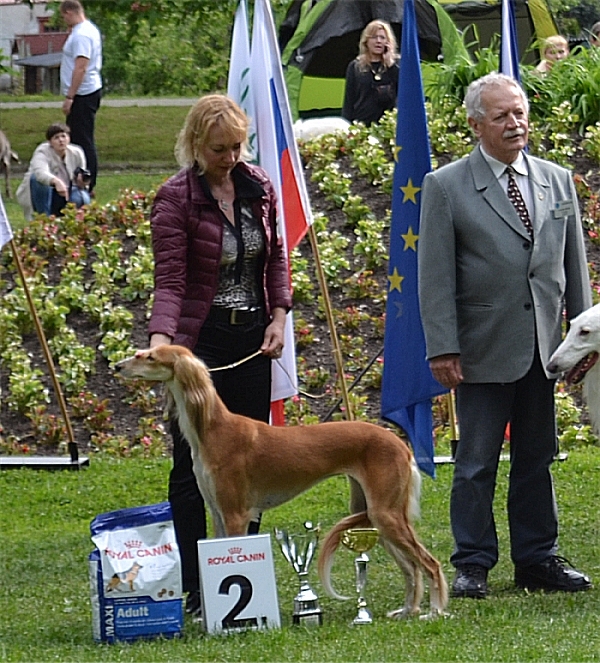 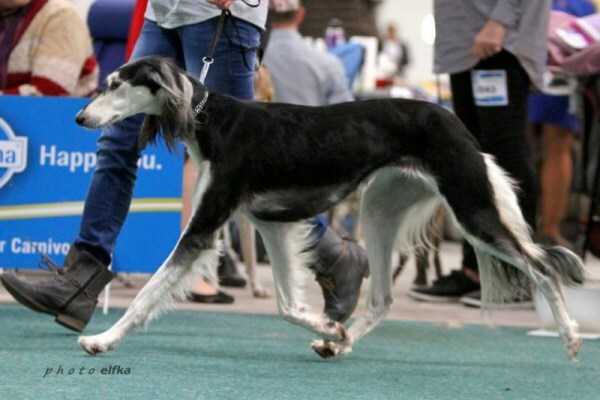 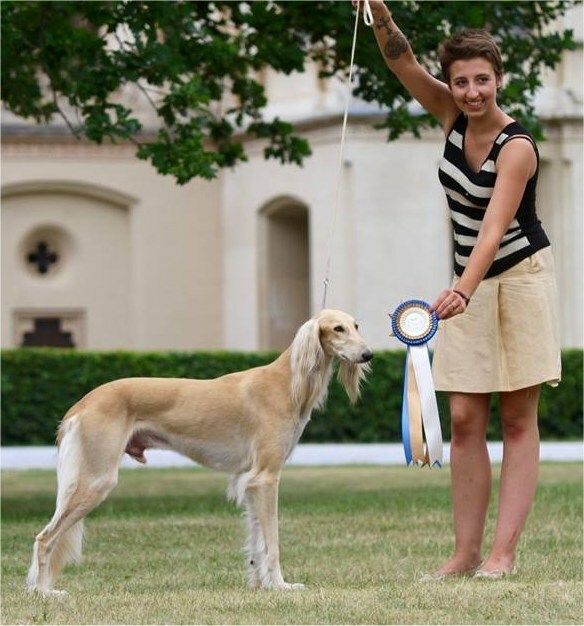 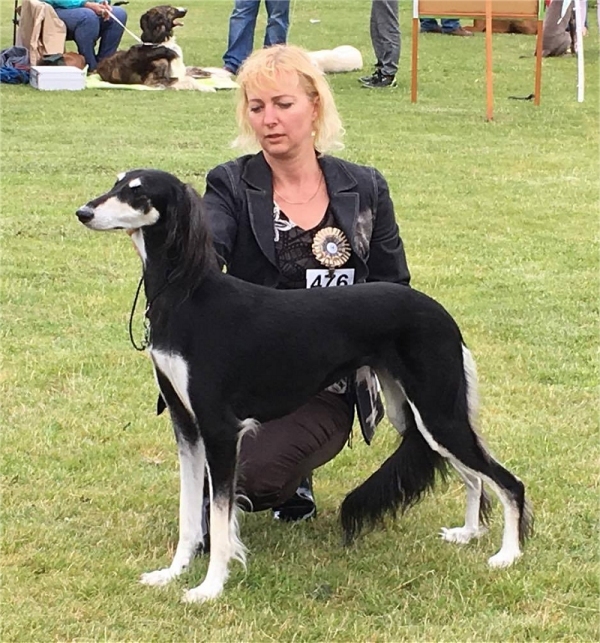 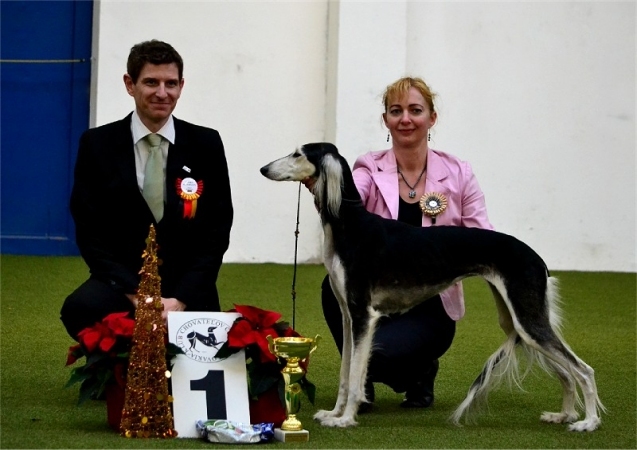 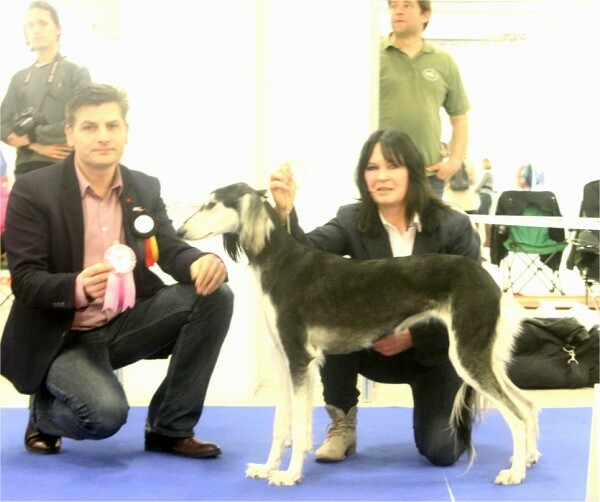 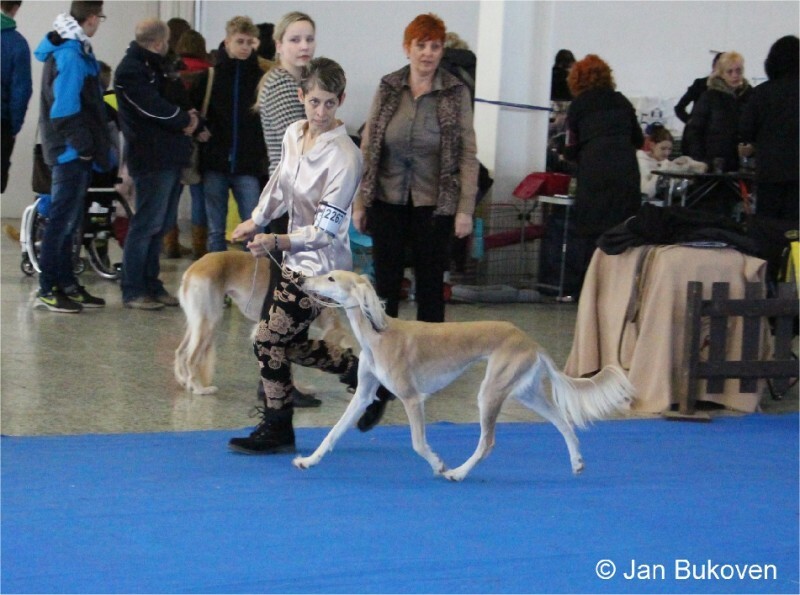 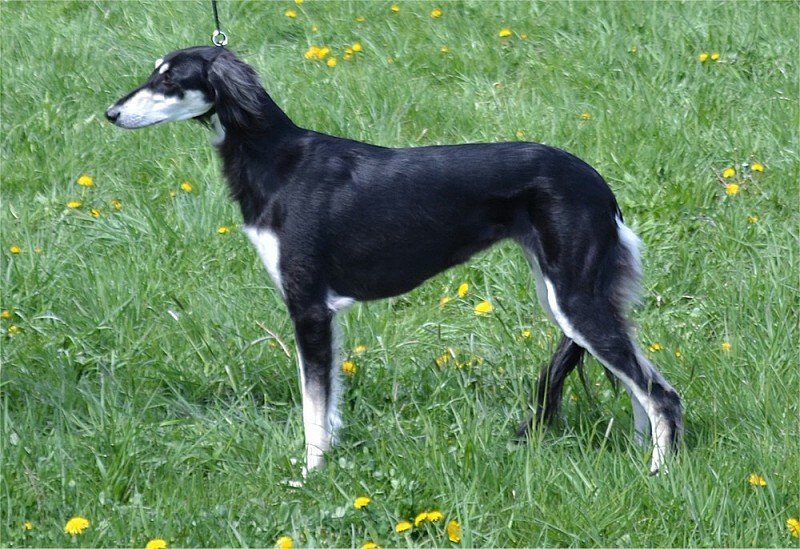 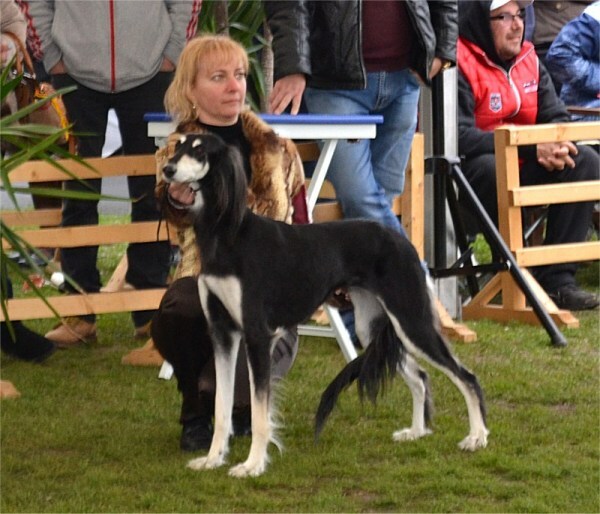 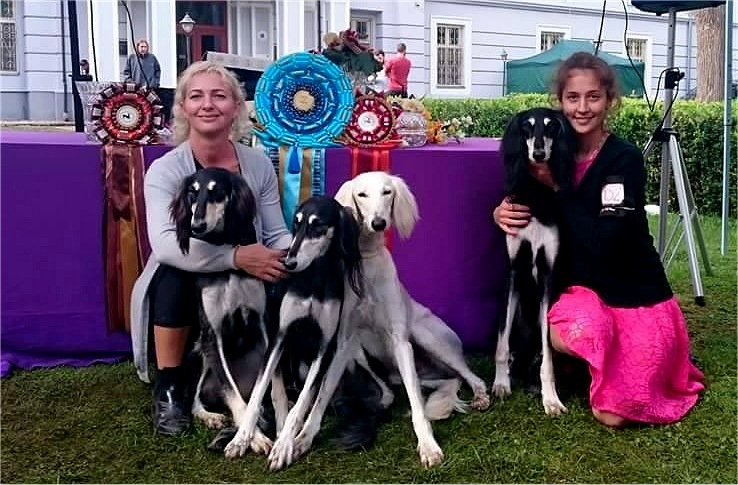 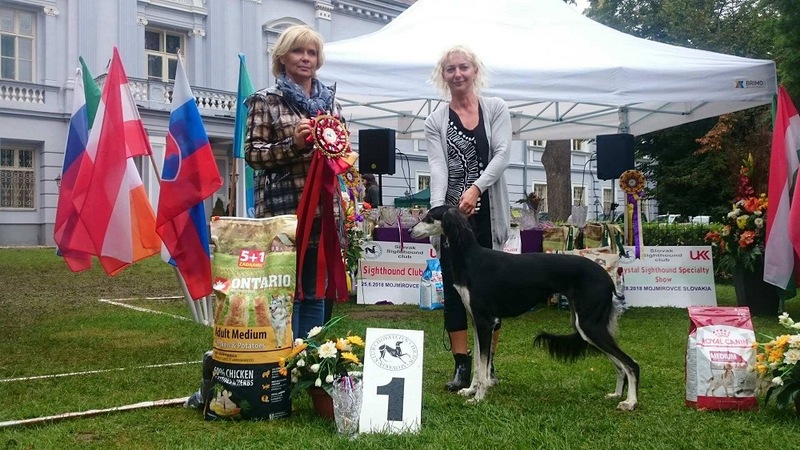 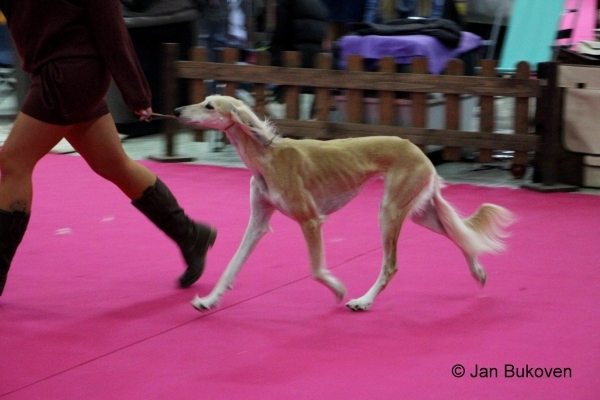 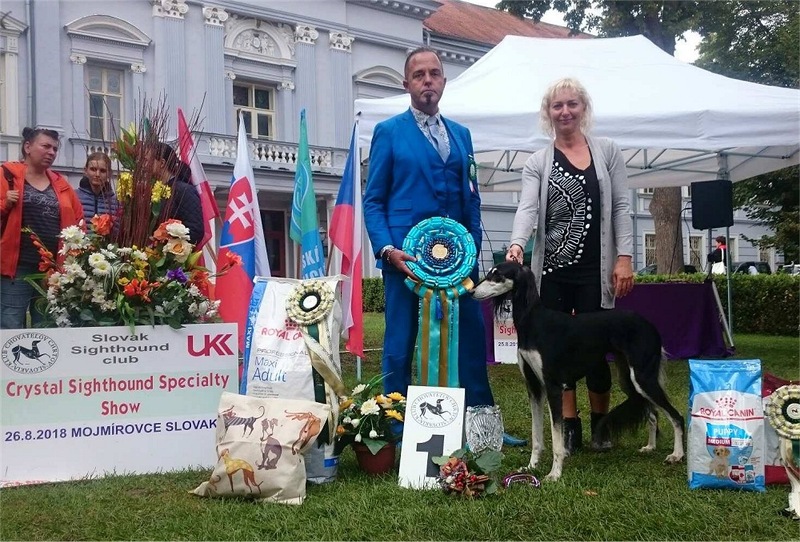 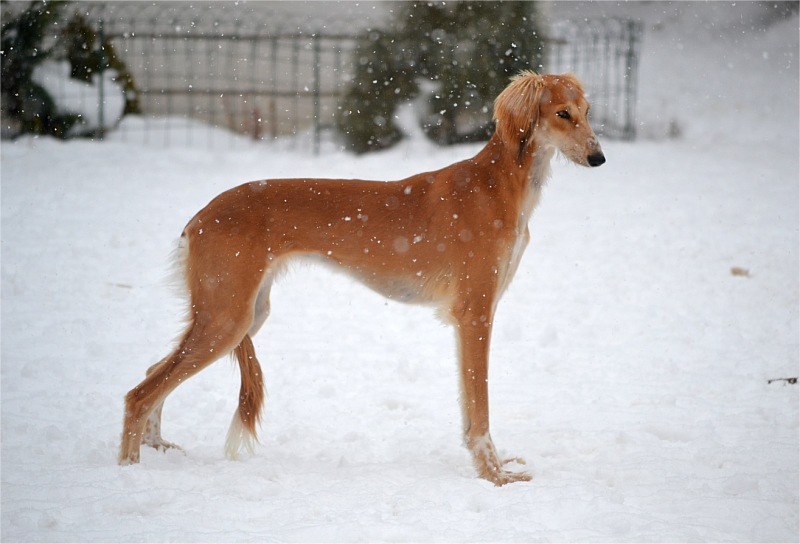 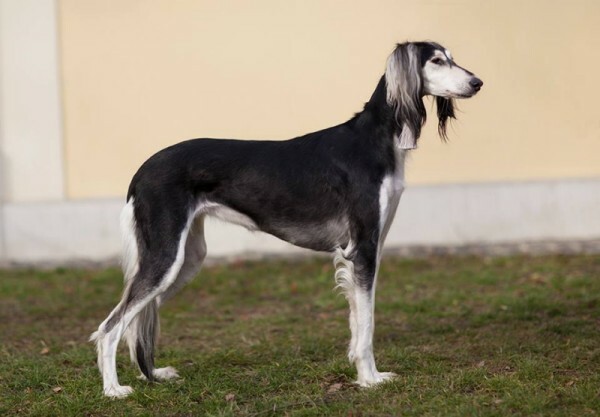 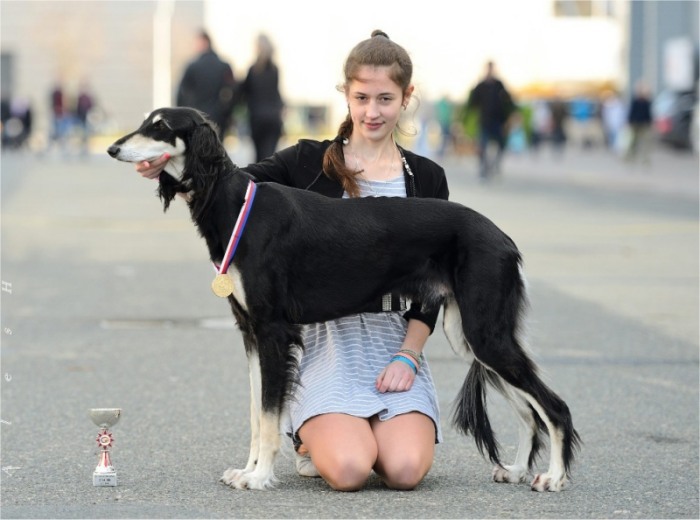 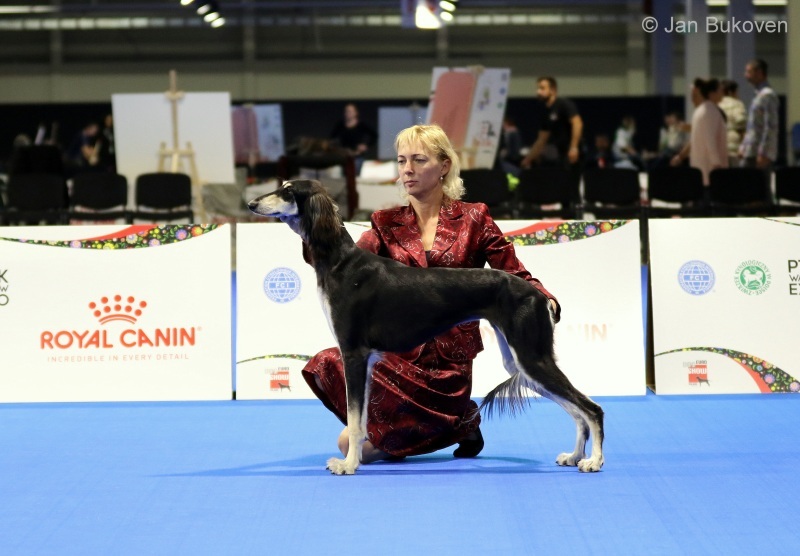 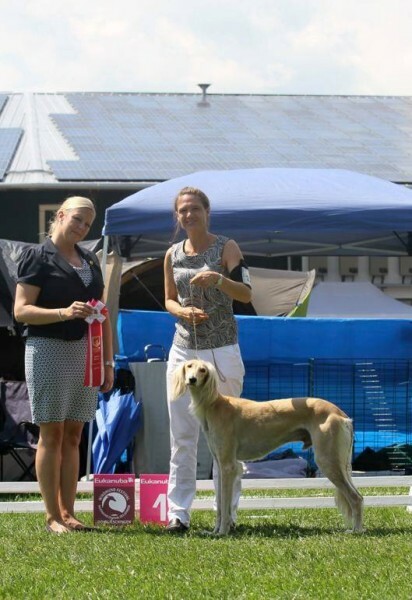 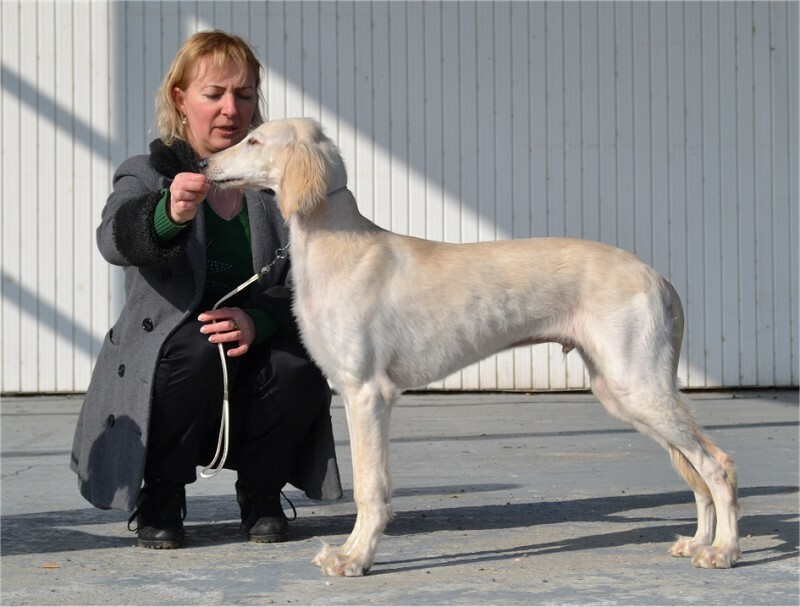 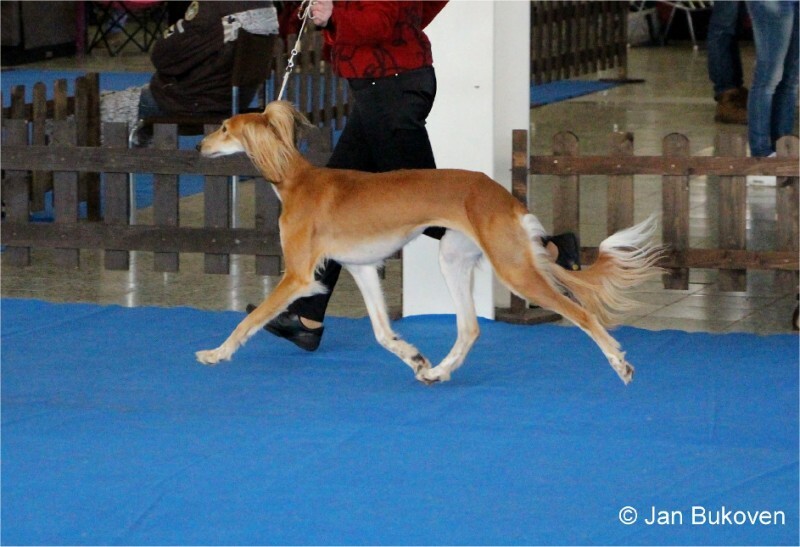 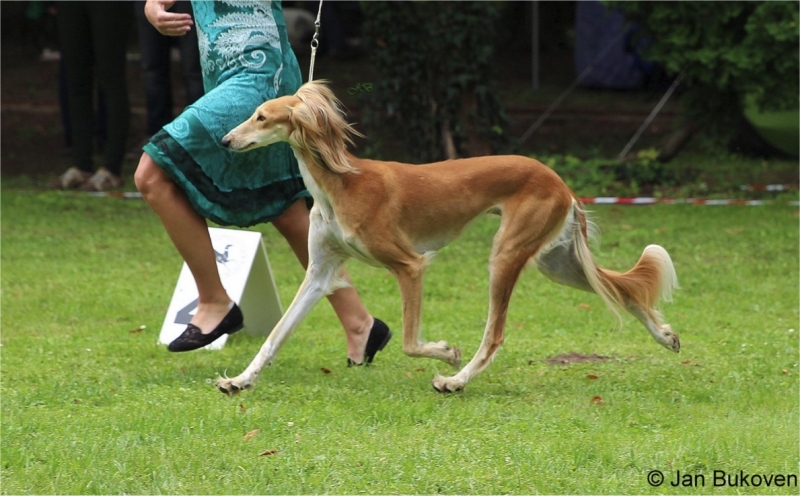 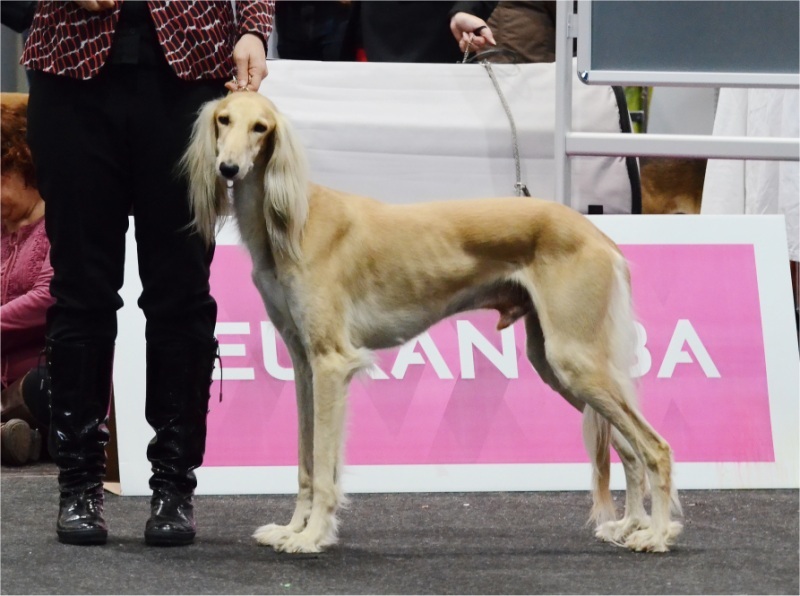 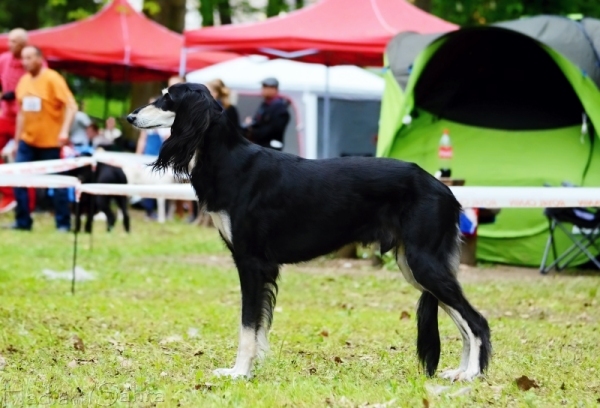 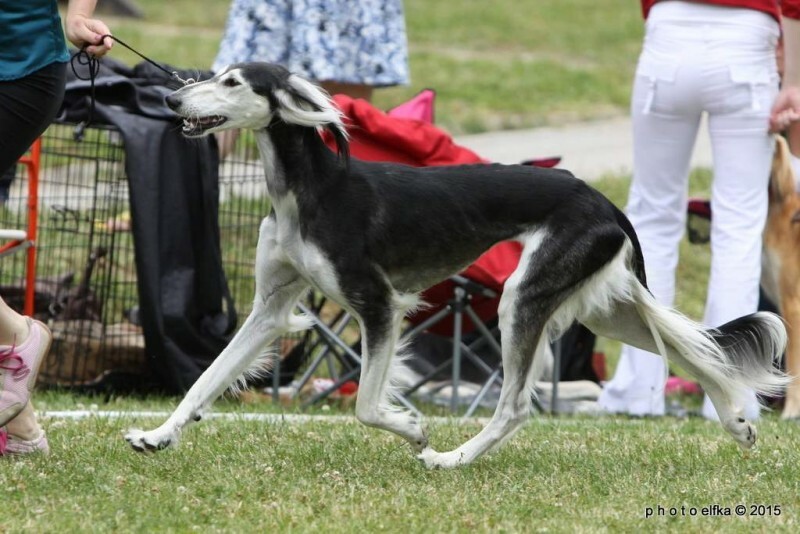 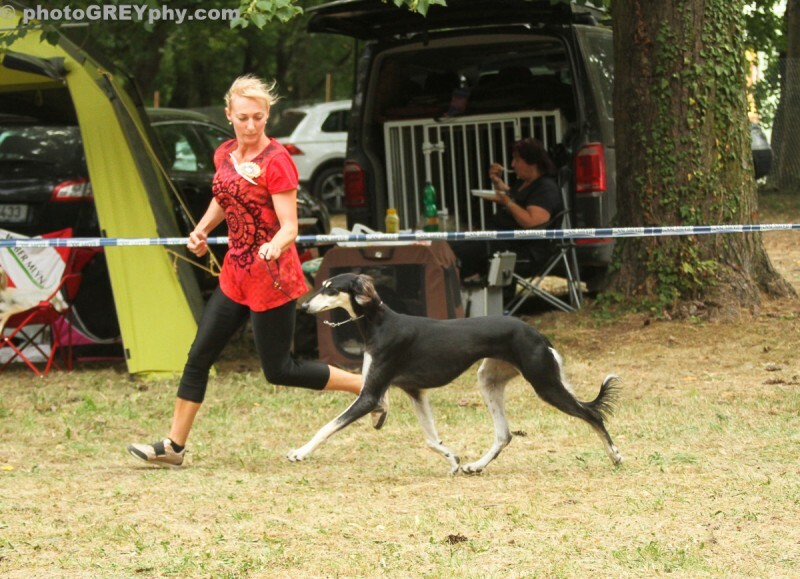 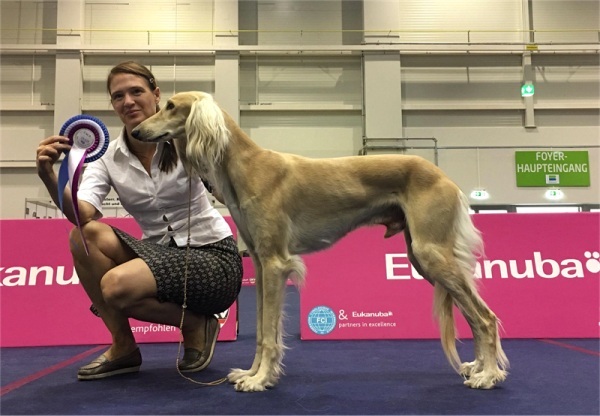 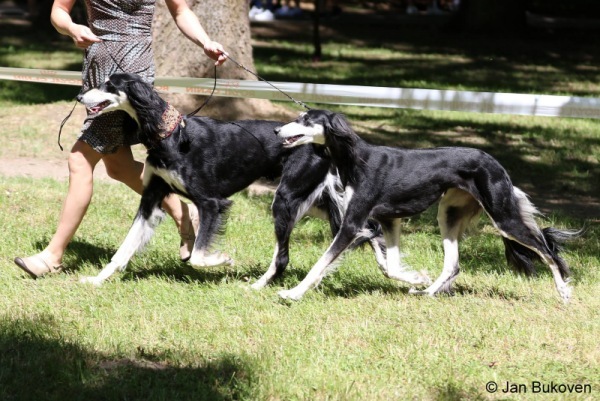 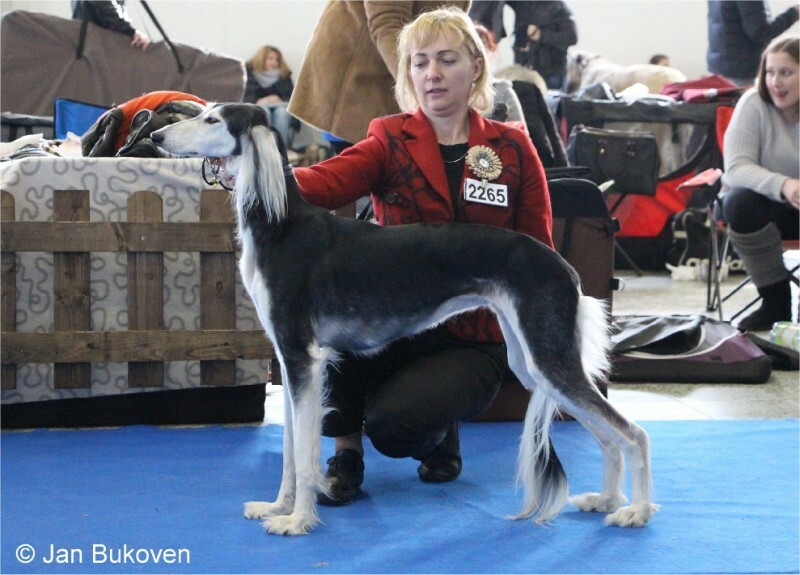 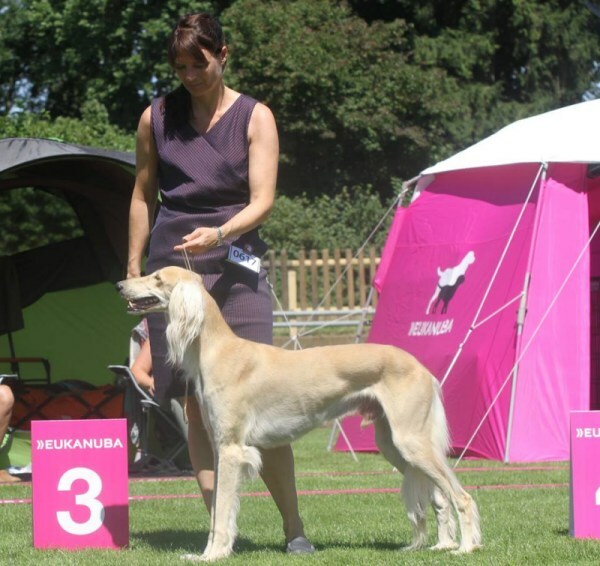 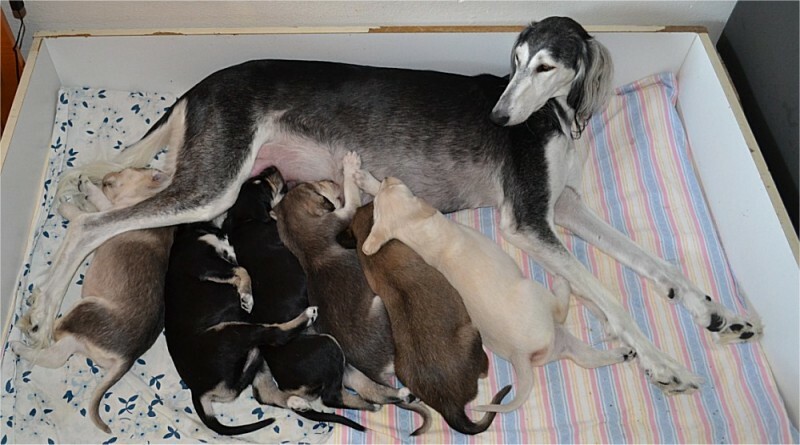 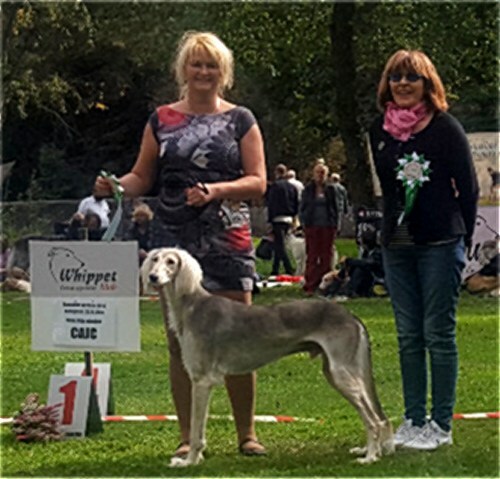 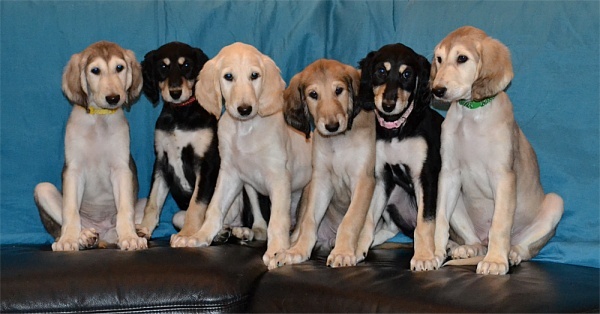 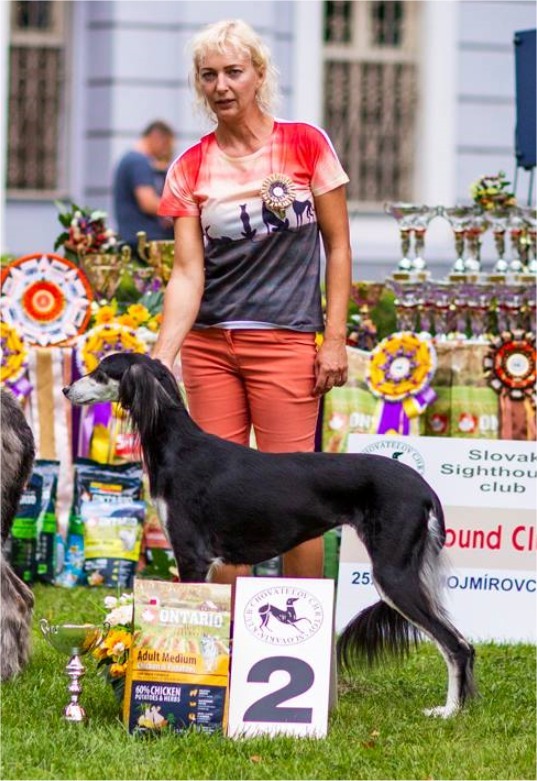 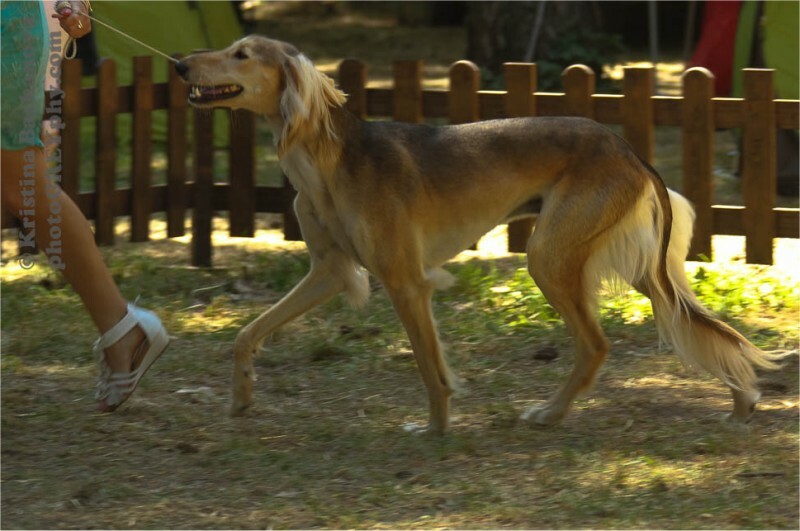 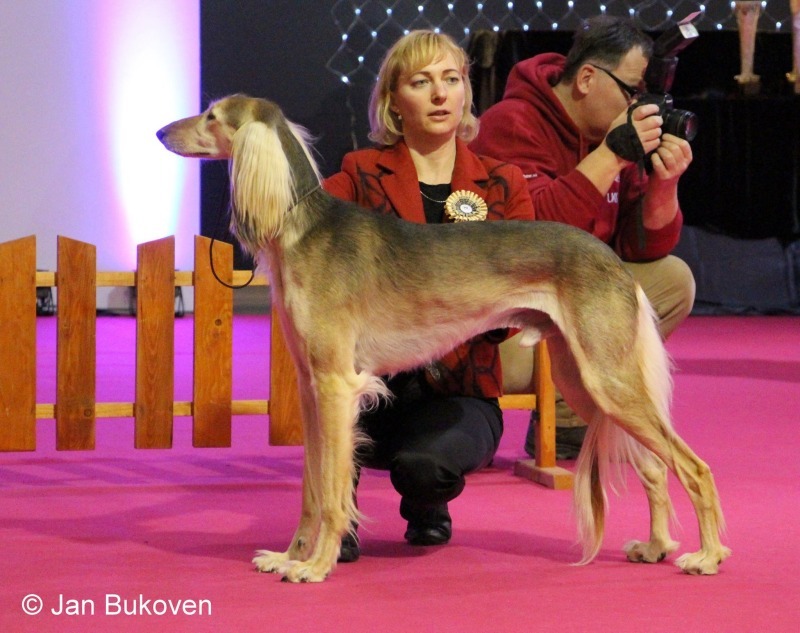 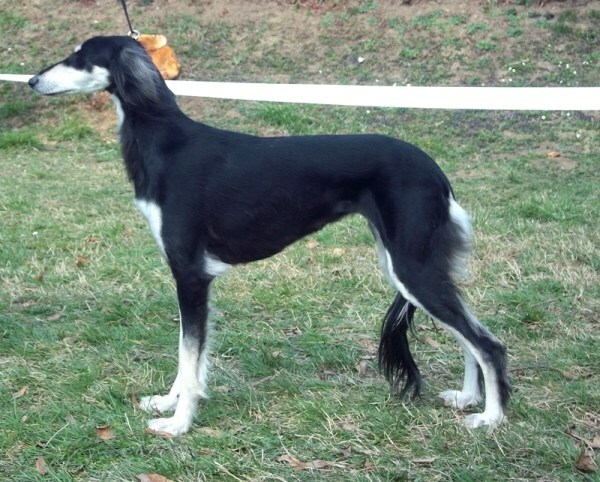 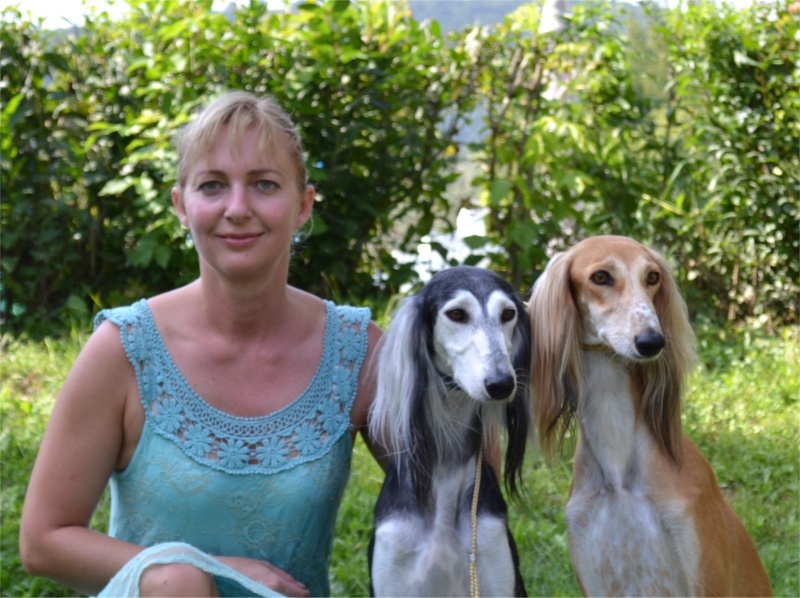 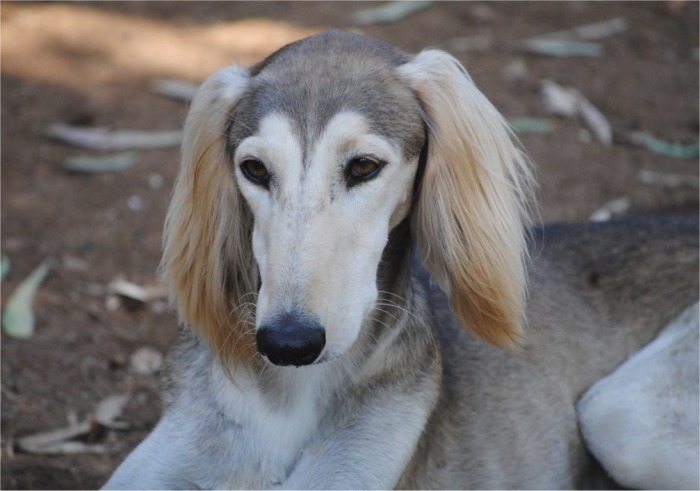 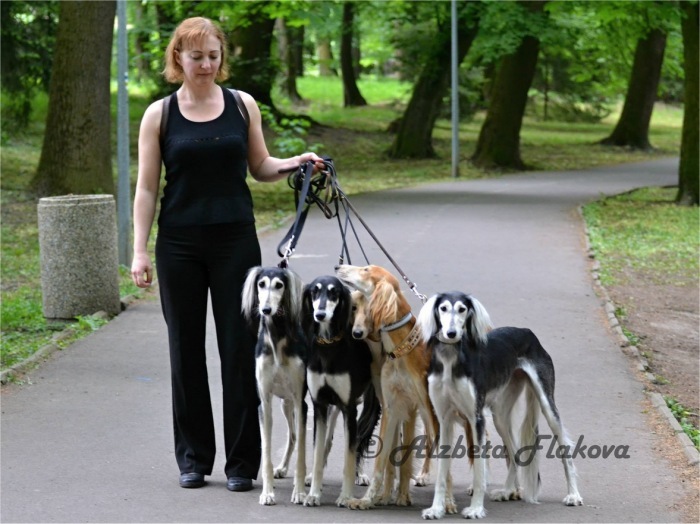 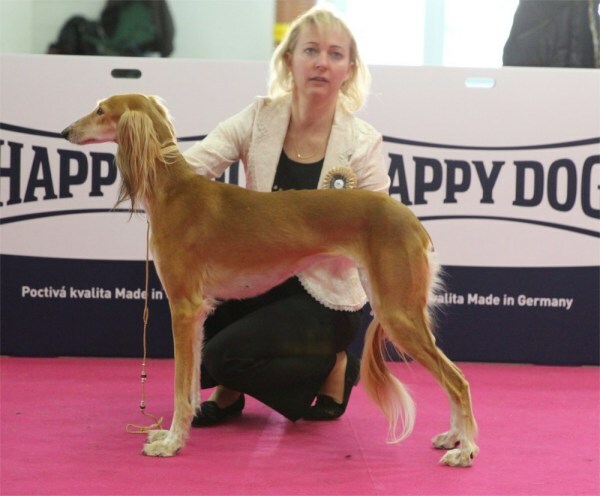 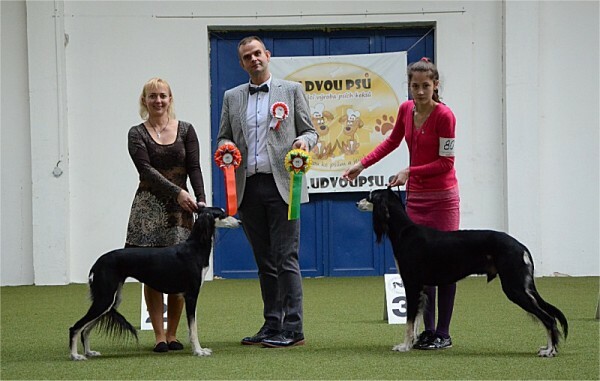 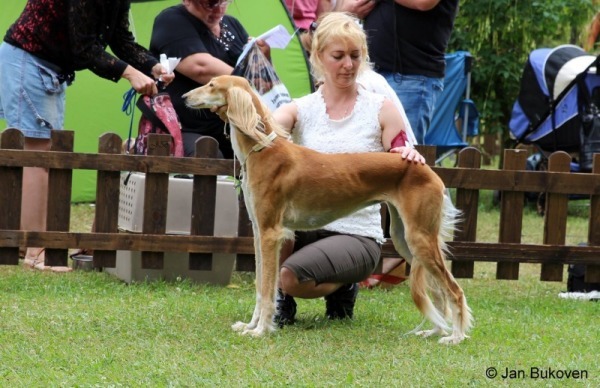 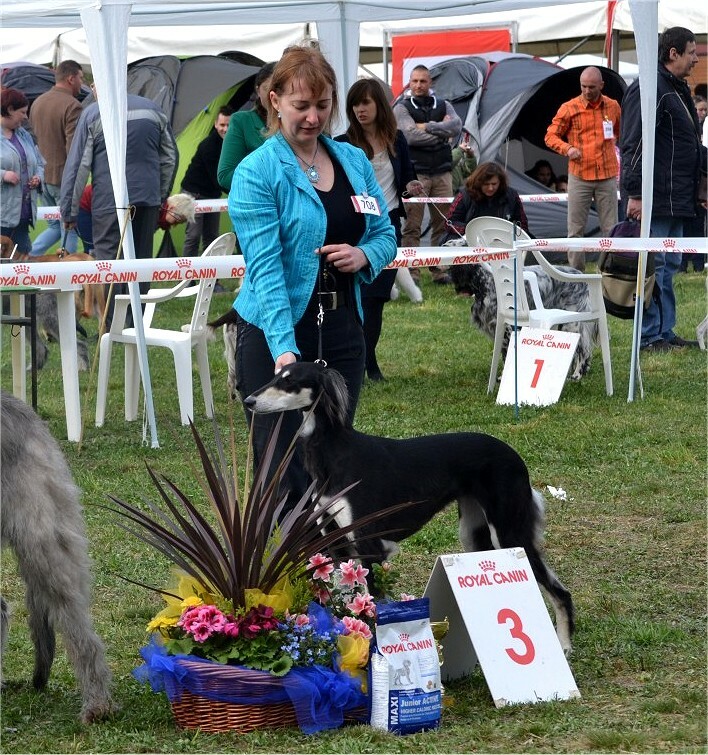 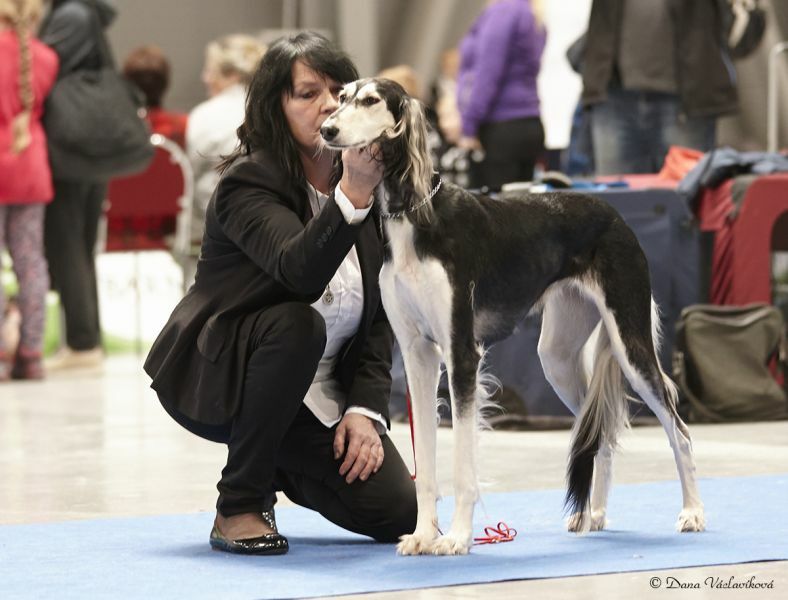 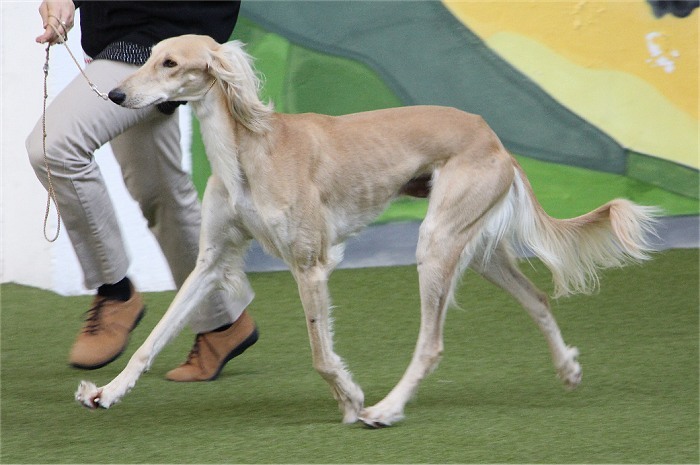 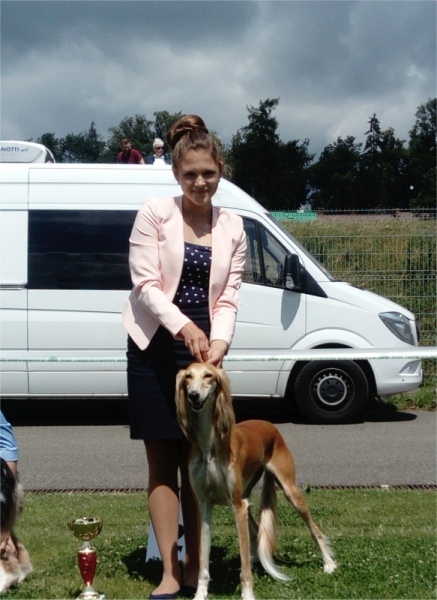 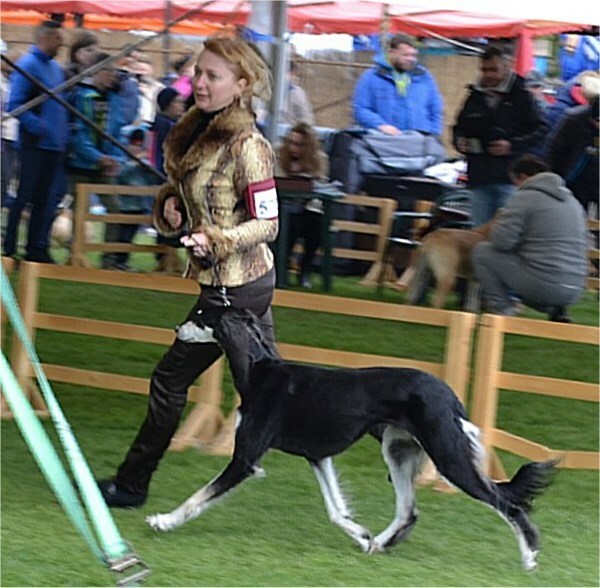 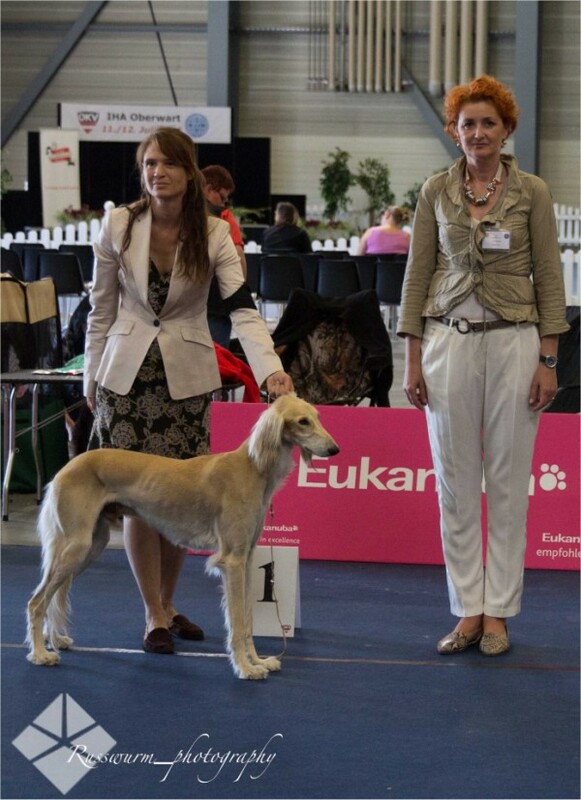 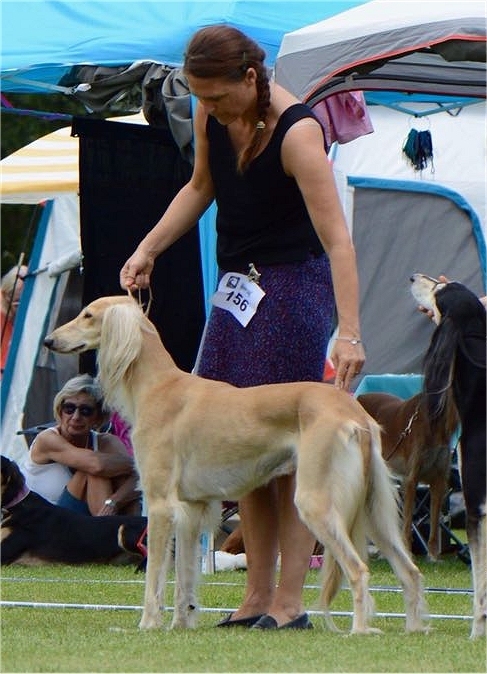 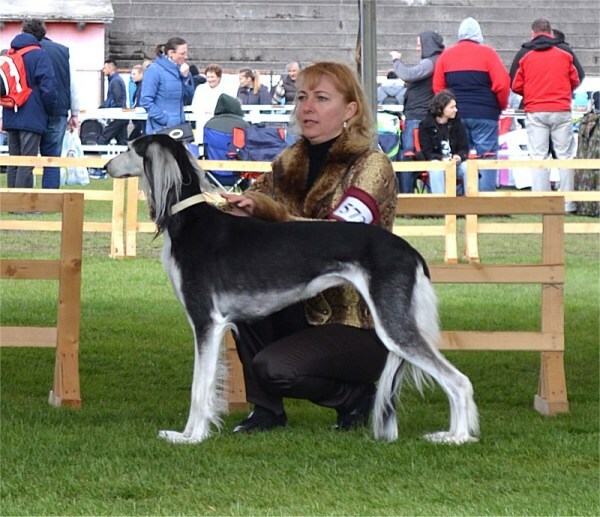 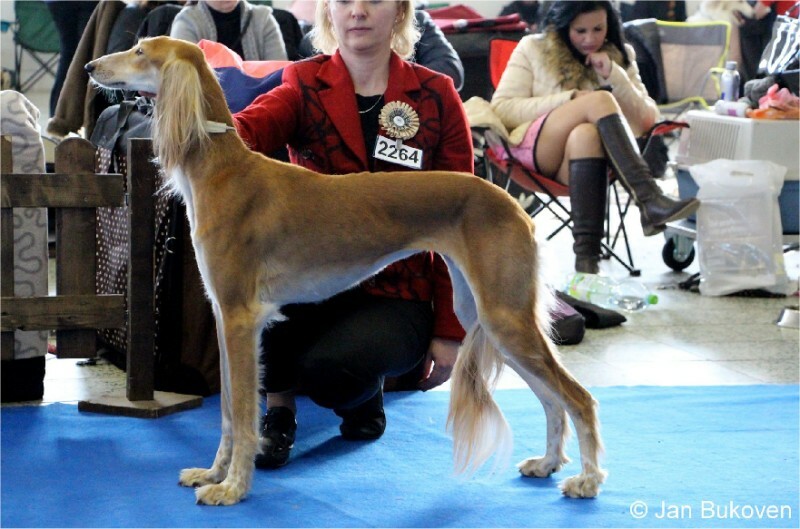 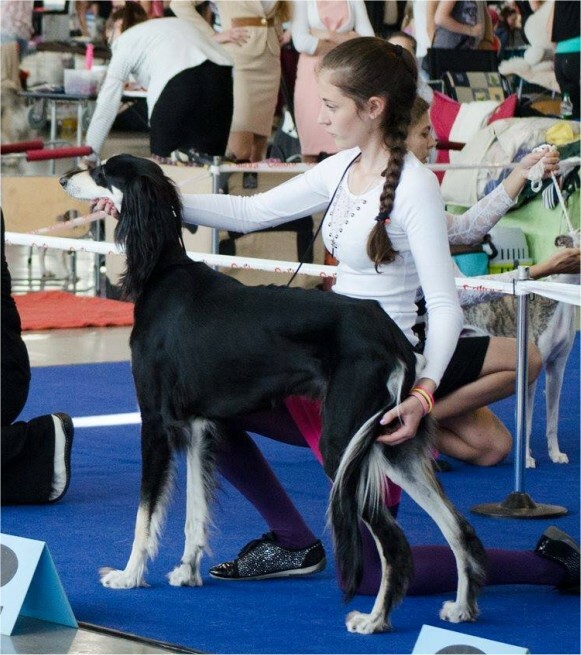 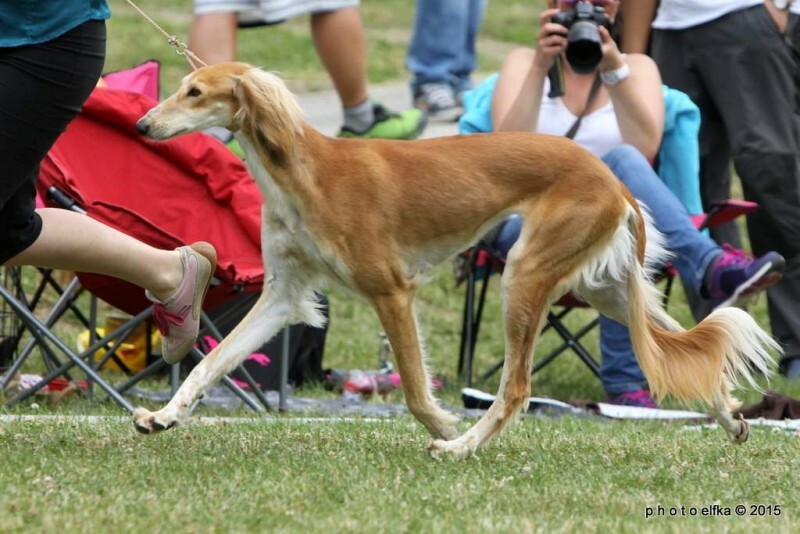 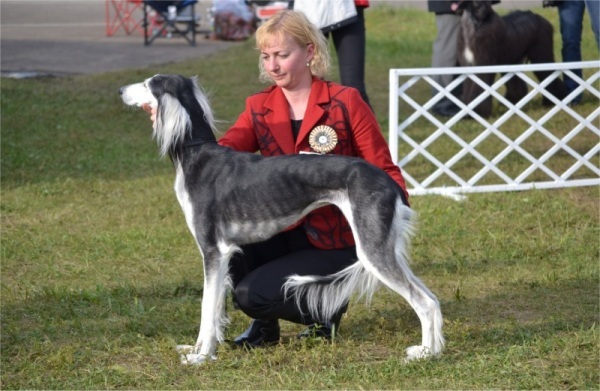 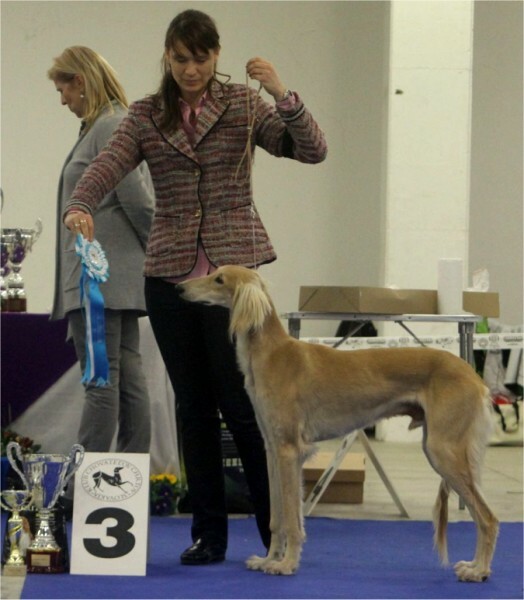 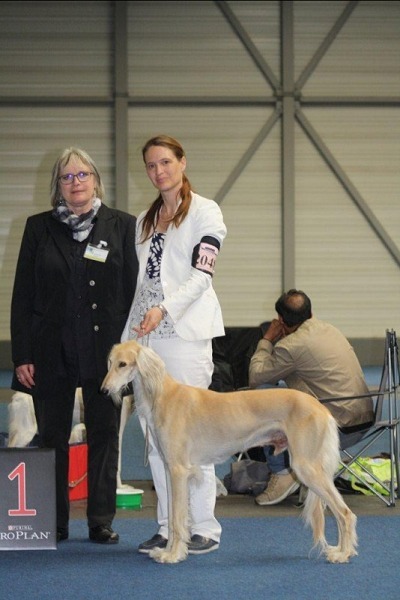 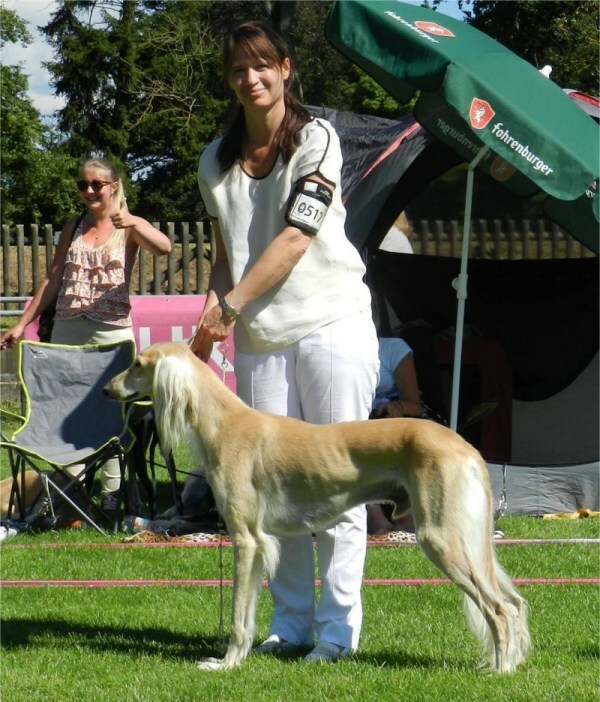 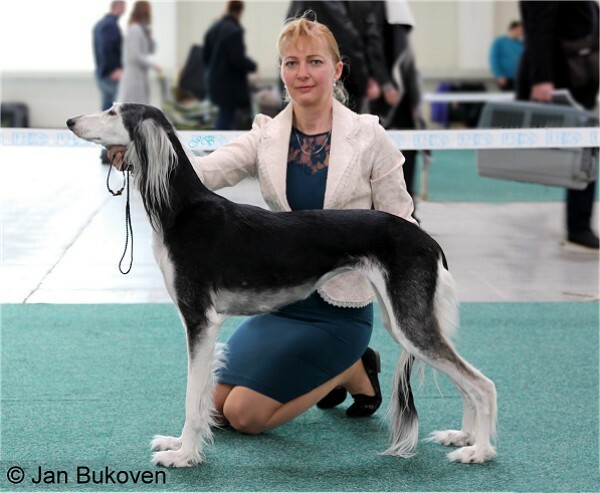 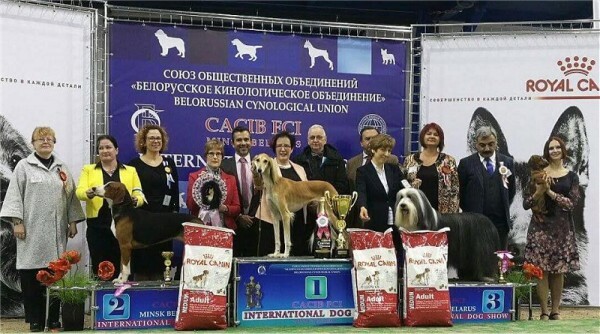 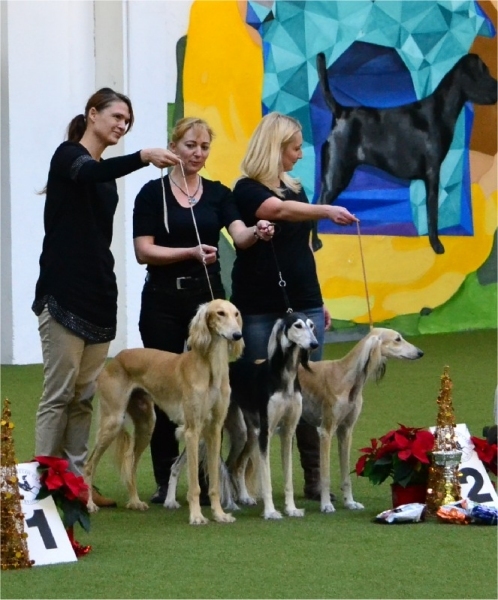 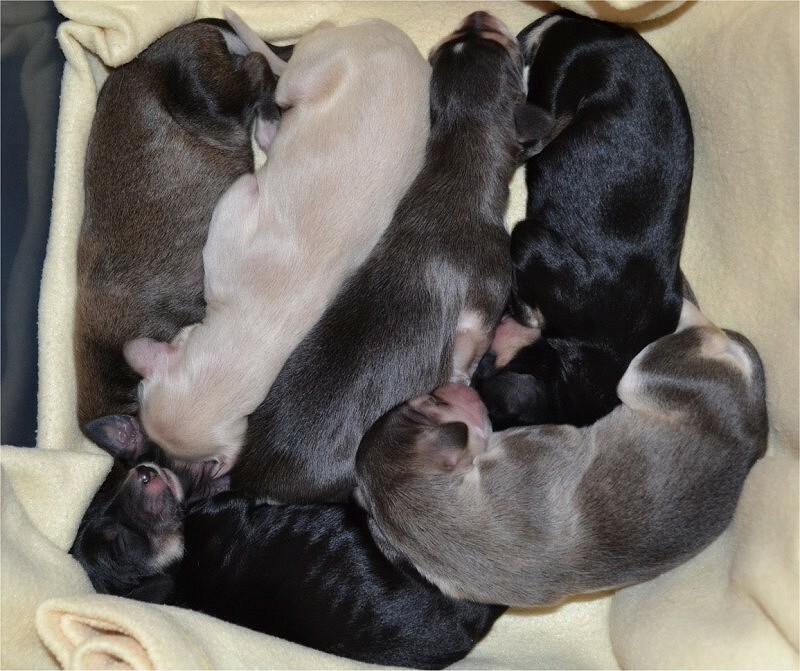 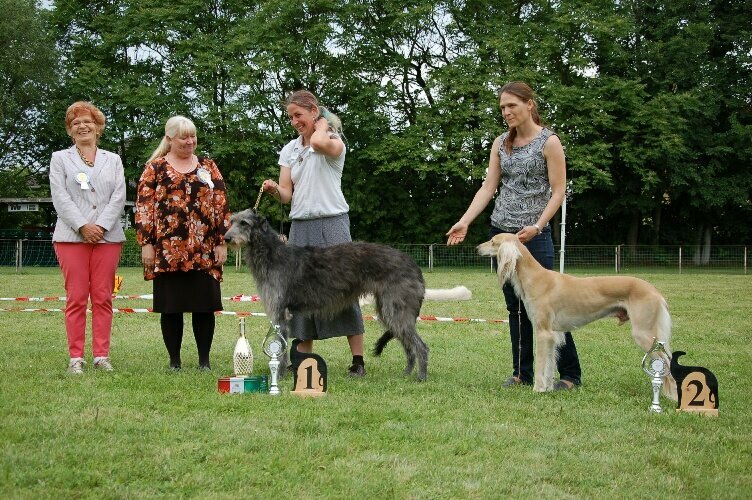 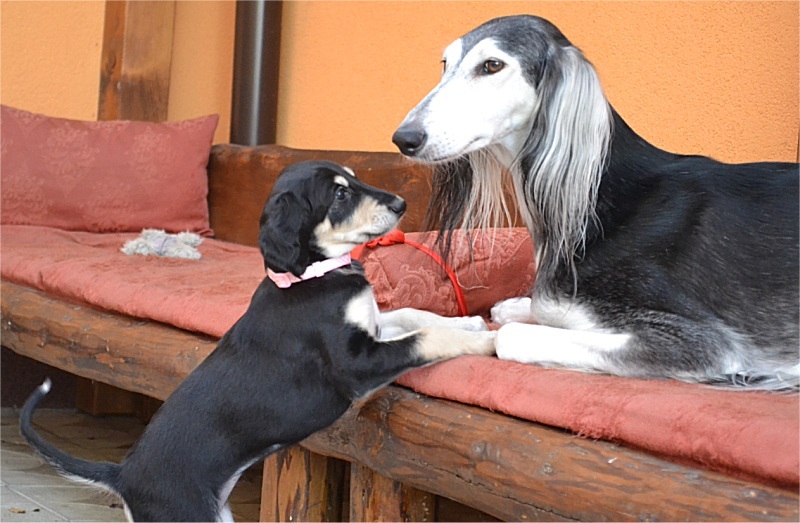 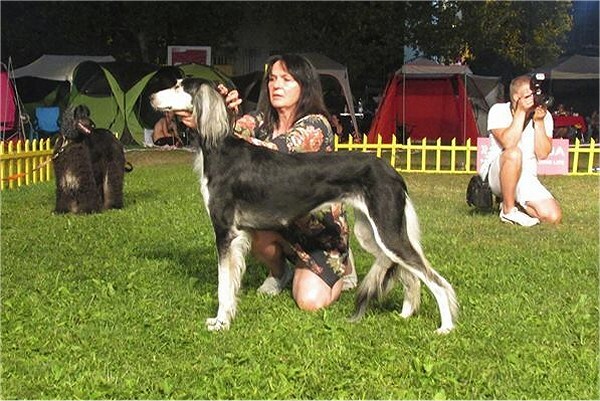 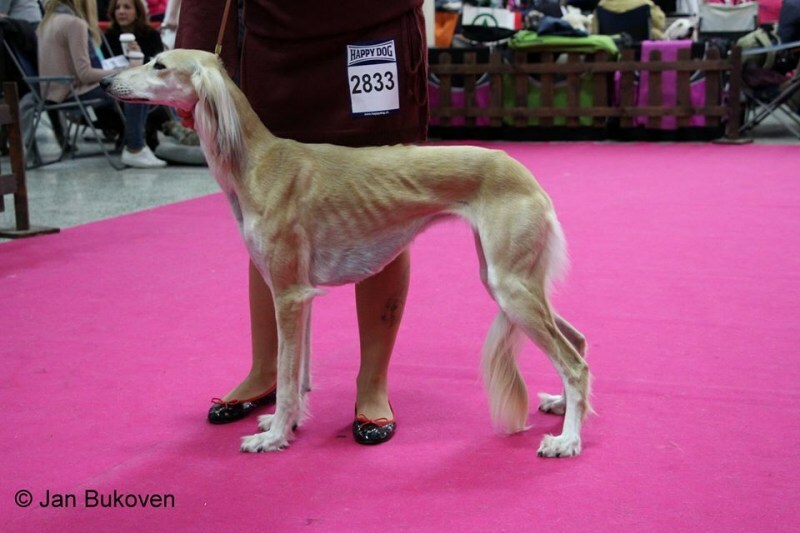 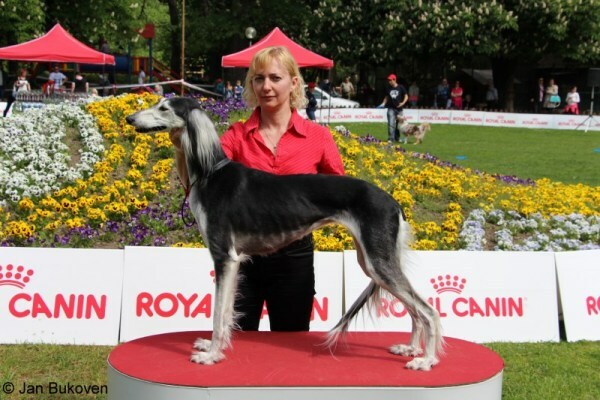 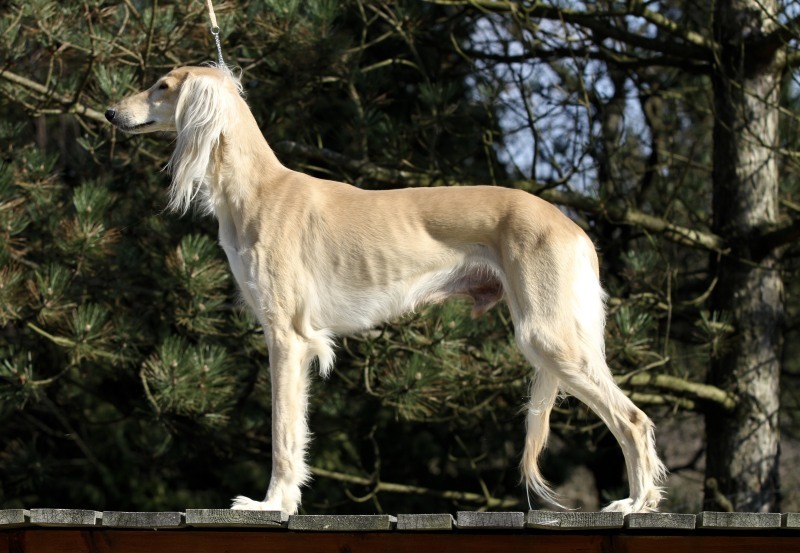 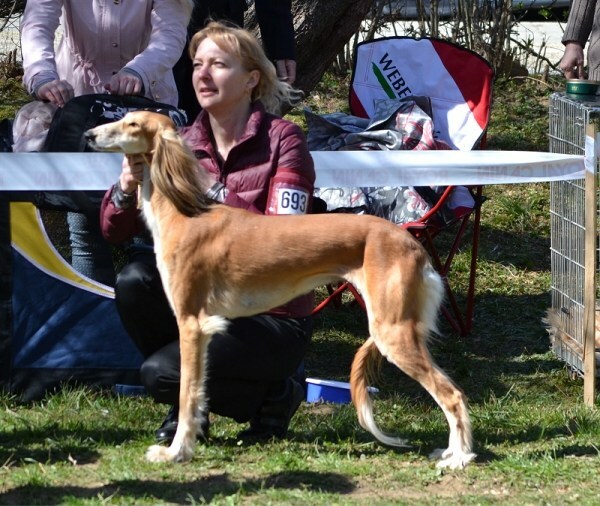 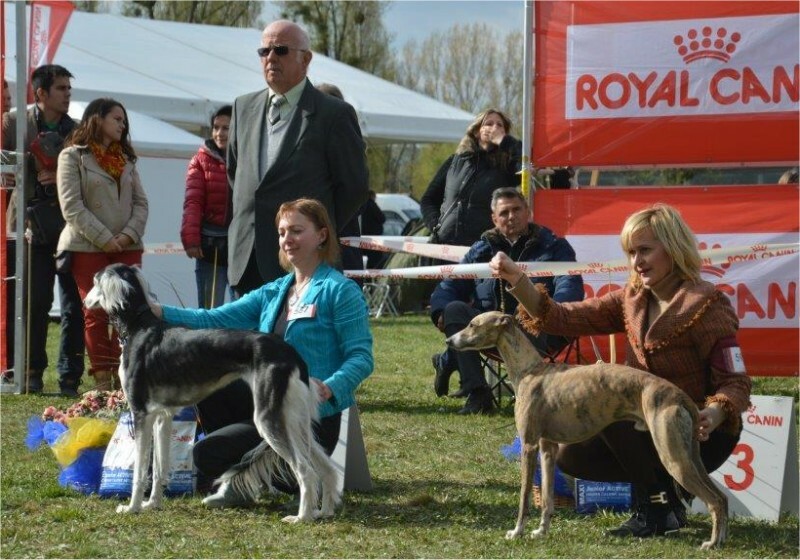 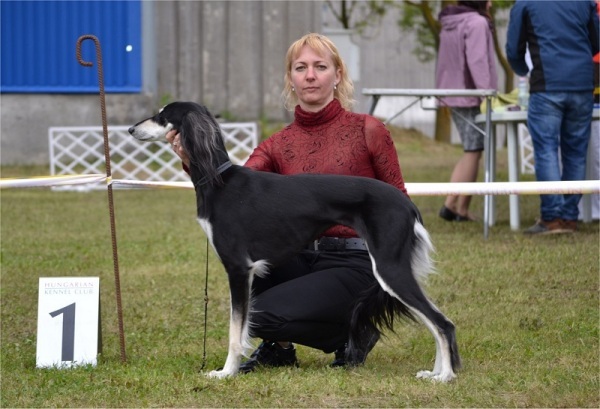 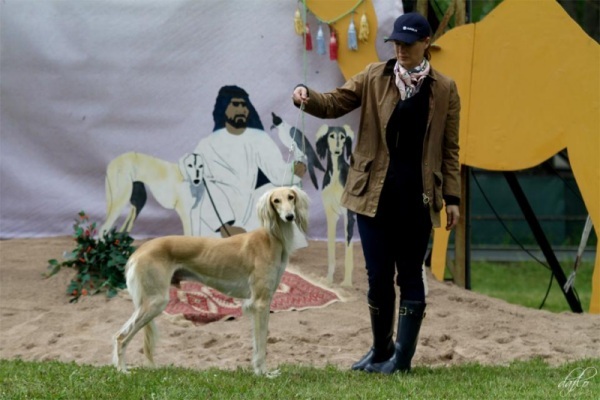 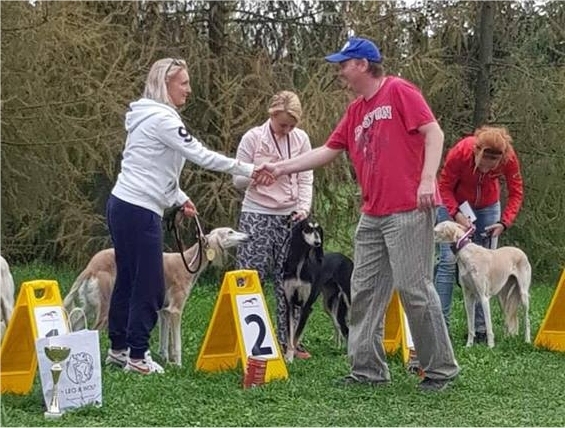 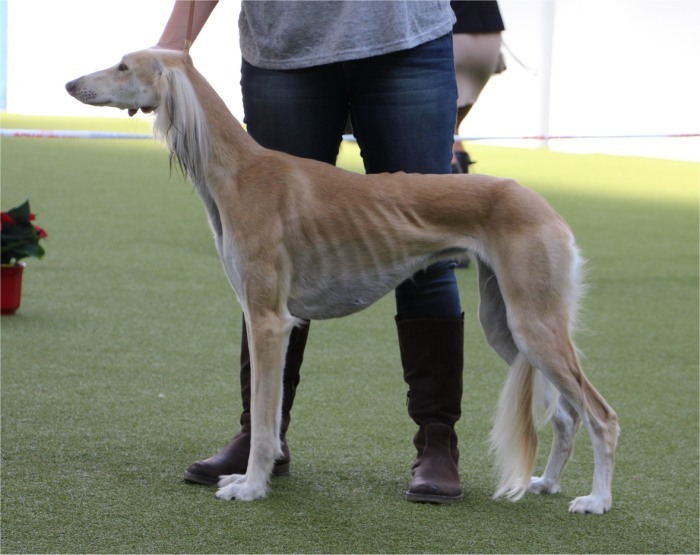 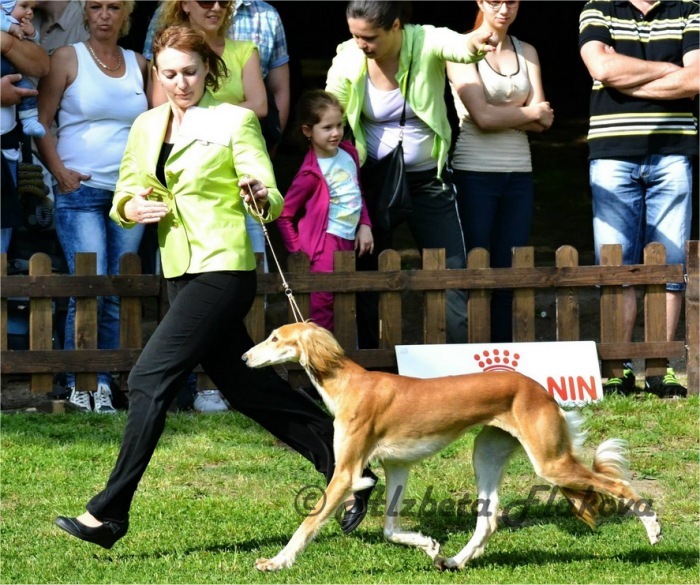 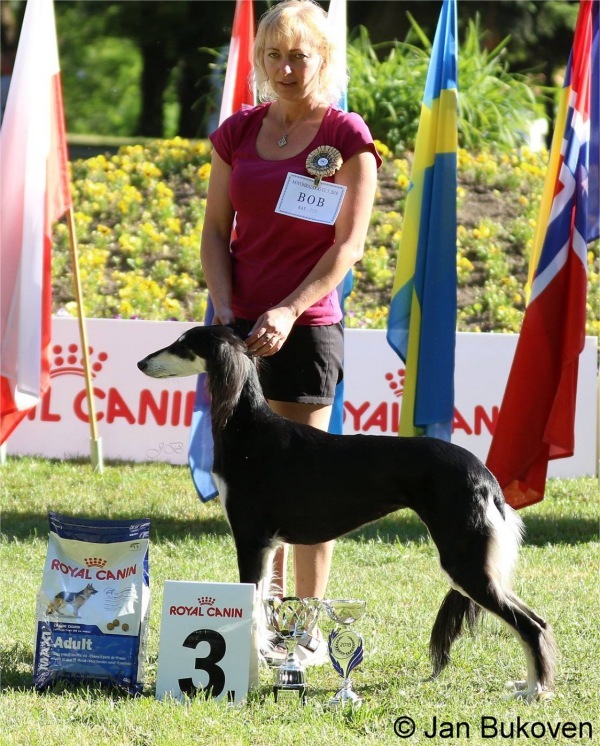 #1 Saluki & #4 Sighthound on 2015 in Slovakia! 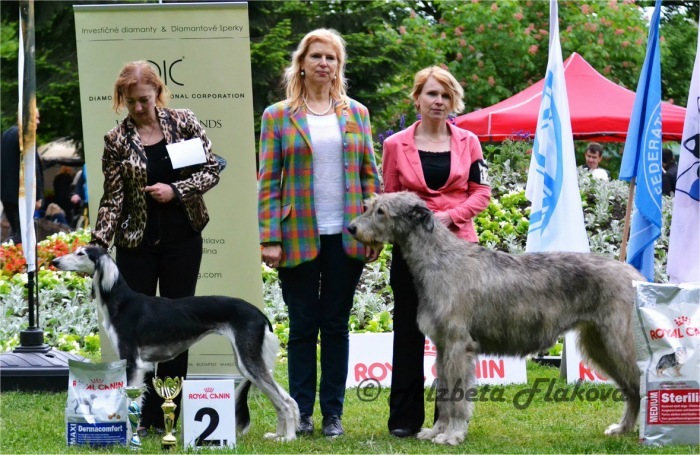 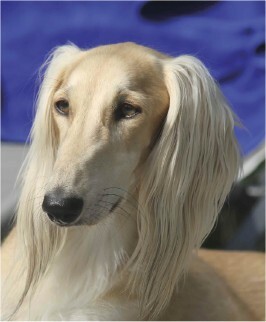 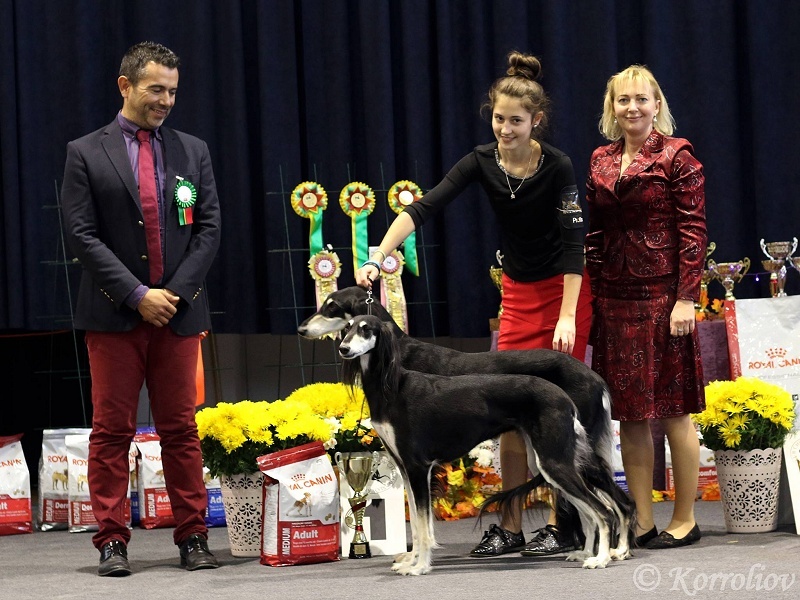 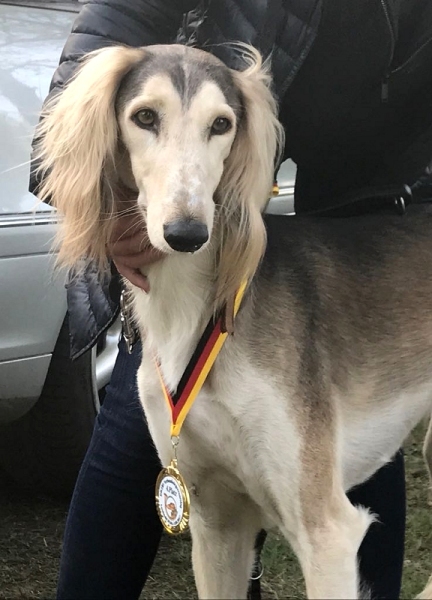 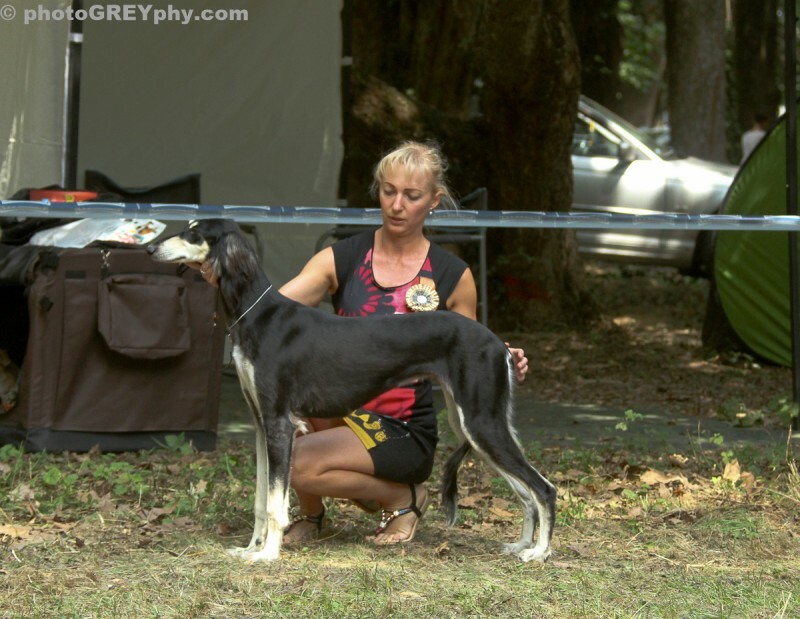 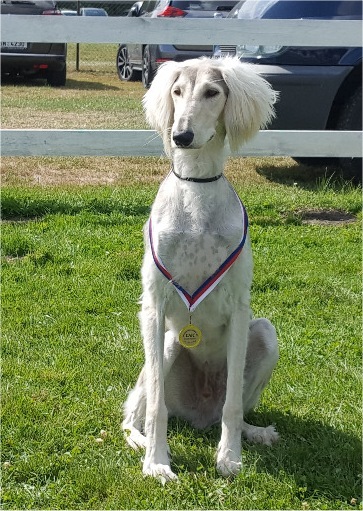 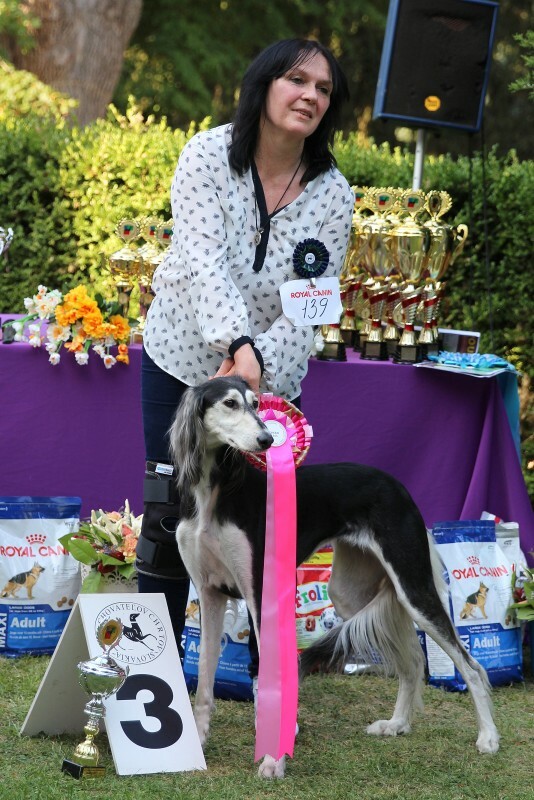 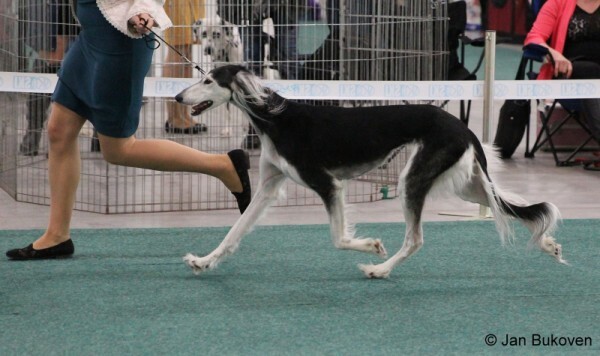 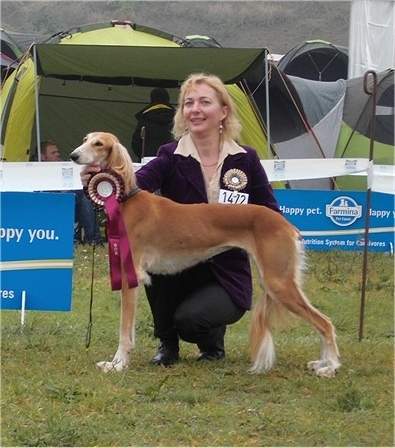 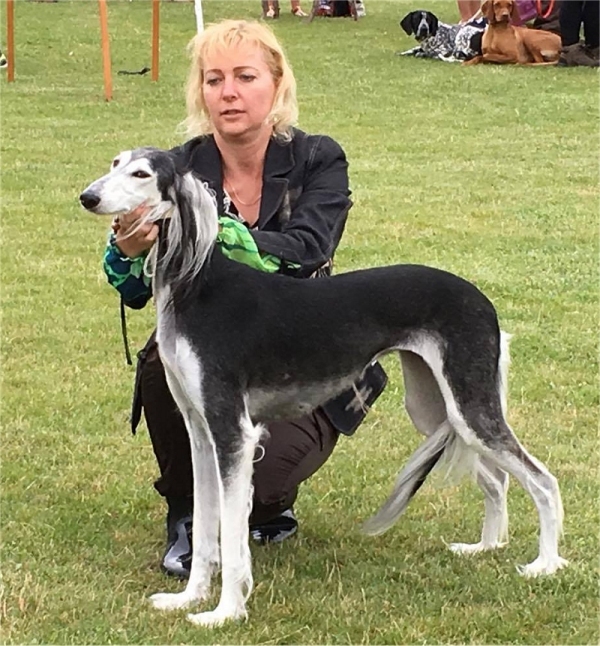 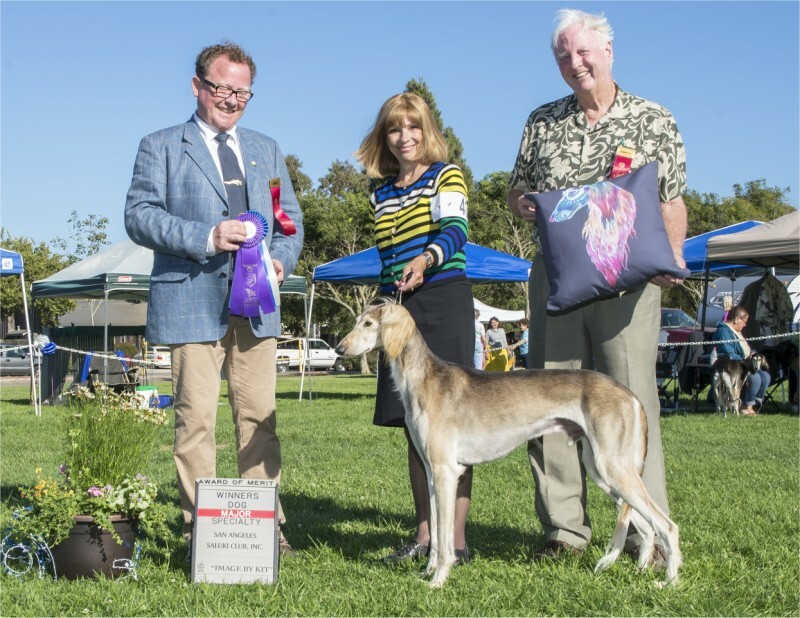 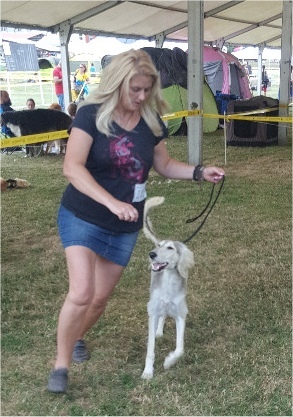 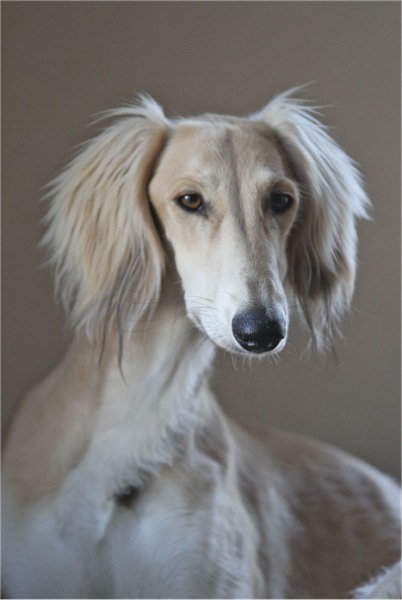 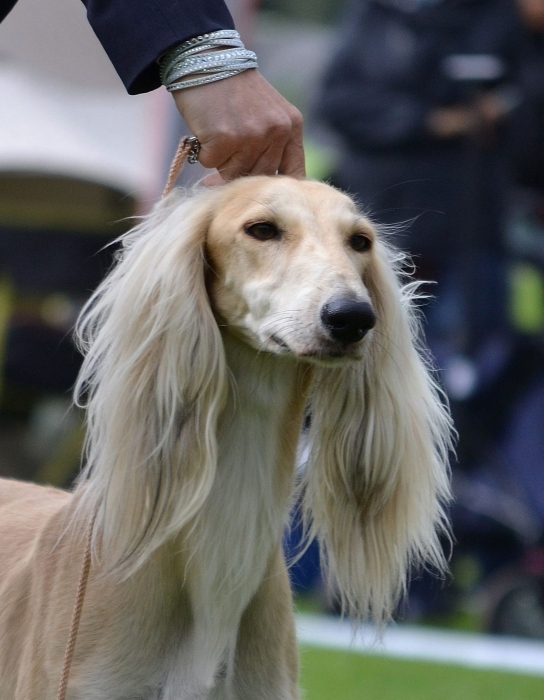 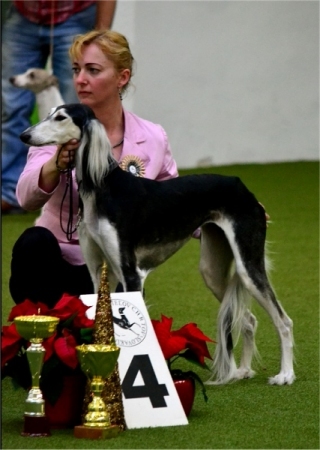 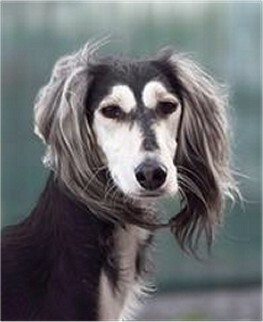 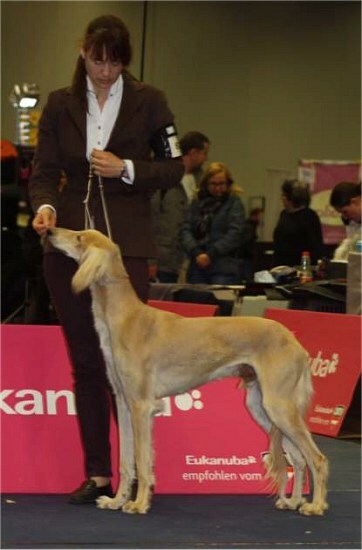 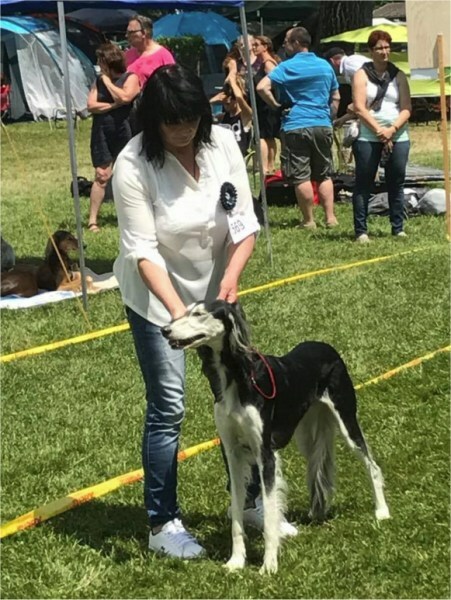 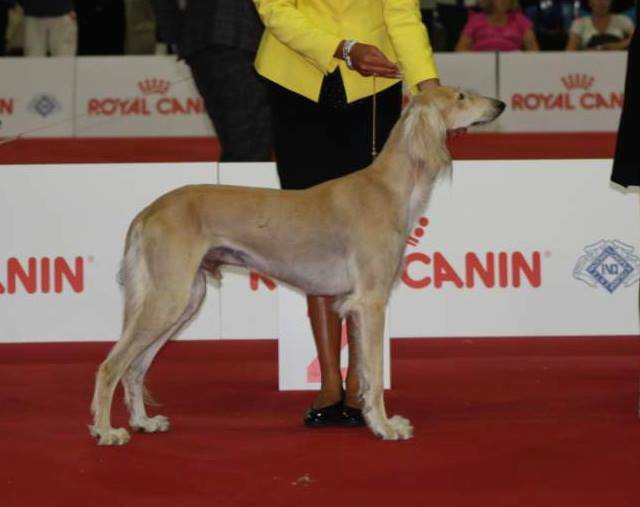 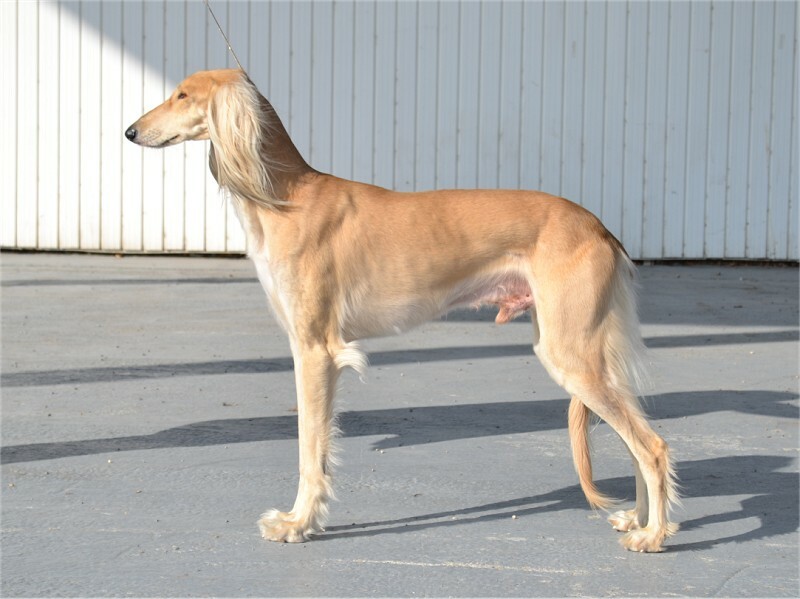 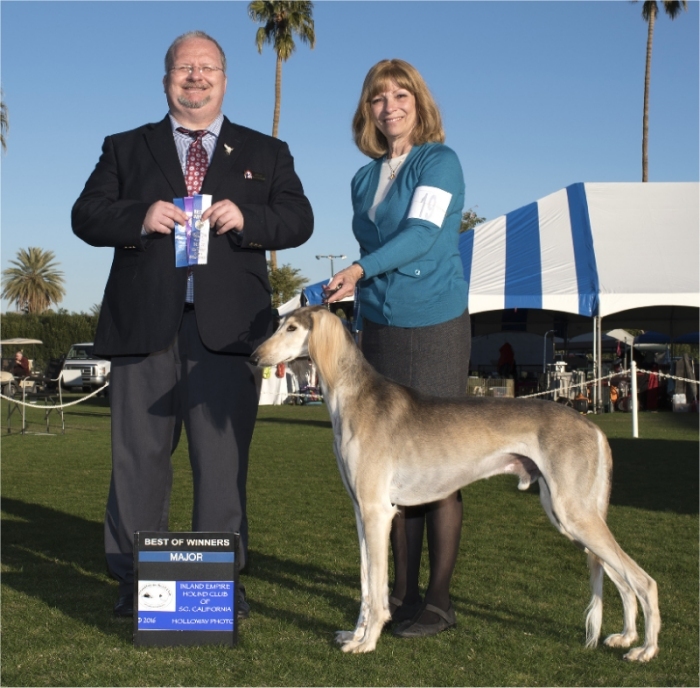 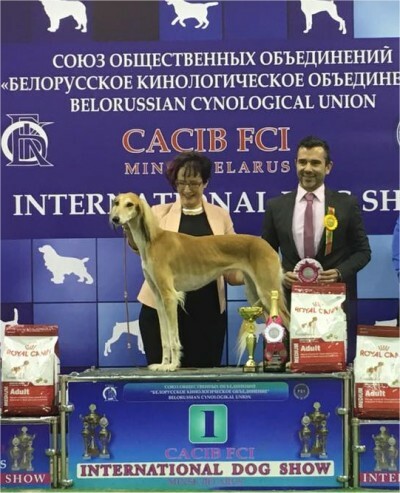 Faraji Ra Zabarre Tall Afar - Winners Dog, 4pt Specialty Major and Award of Merit !!!! 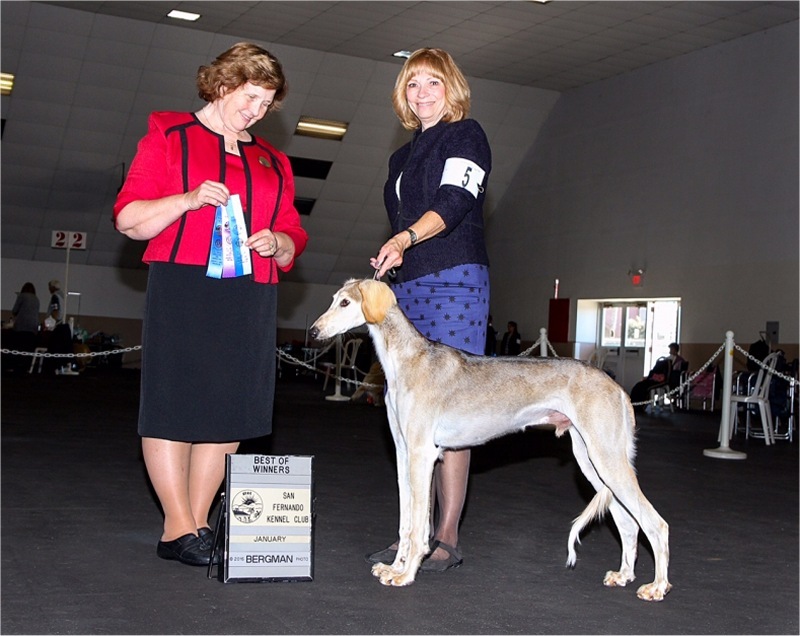 Faraji Ra Zabarre Tall Afar winning his first point in US!